The weather here in Pittsburgh has been really nice these past few weeks, and I’ve been taking full advantage by studying chess outside. 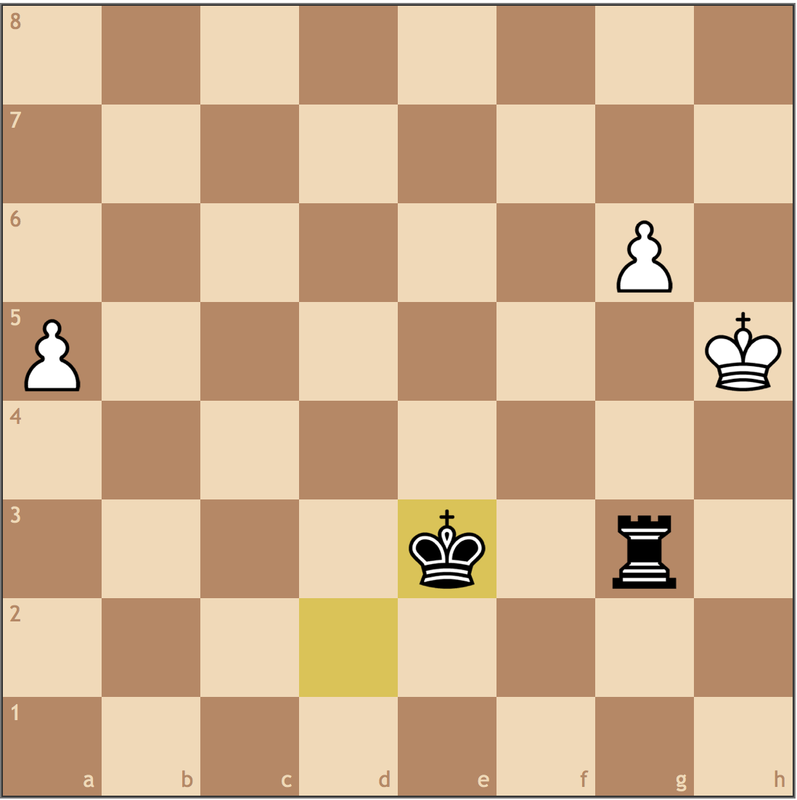 Yesterday, I picked up an old issue of Chess Evolution (May 2014) and started to work through the analysis before I reached this position. 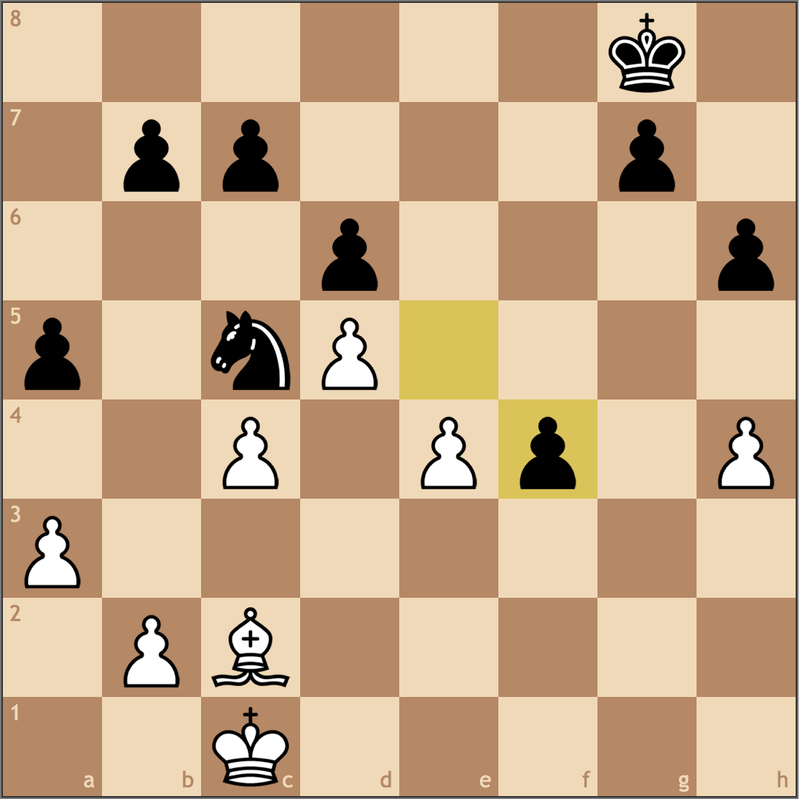 White to move, and with Black’s king in the box, the win should be easy, right? Well not so fast. After about 30 minutes of calculation, I finally figured out the answer. 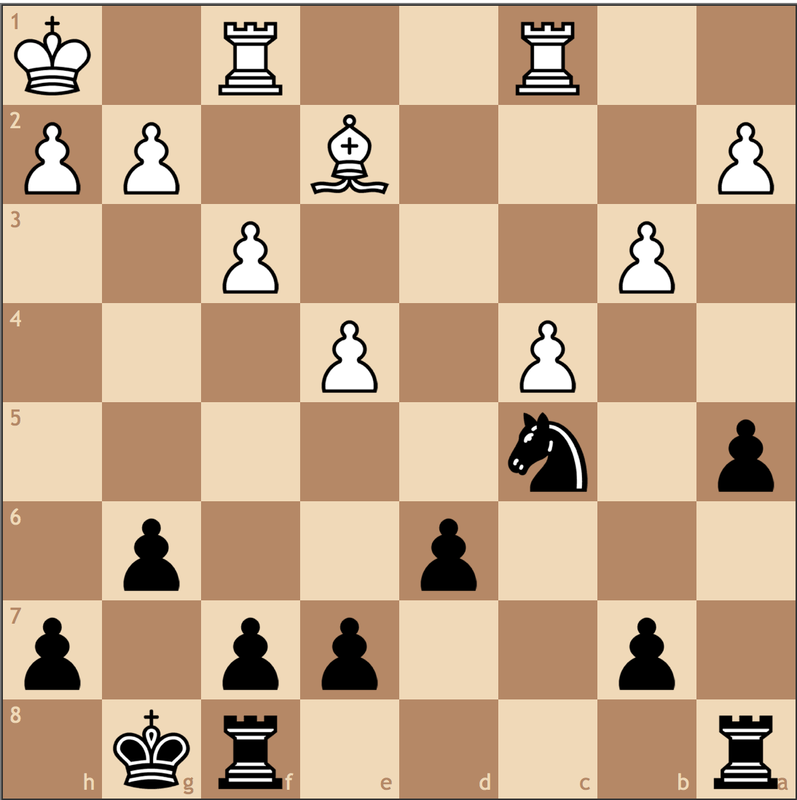 Finding the solution without any prompting from a friend or engine made the composition a lot more difficult, but by asking the questions 1) What’s my opponent’s threat? and 2) Am I making progress?, all the sudden the answer doesn’t seem so contrived. 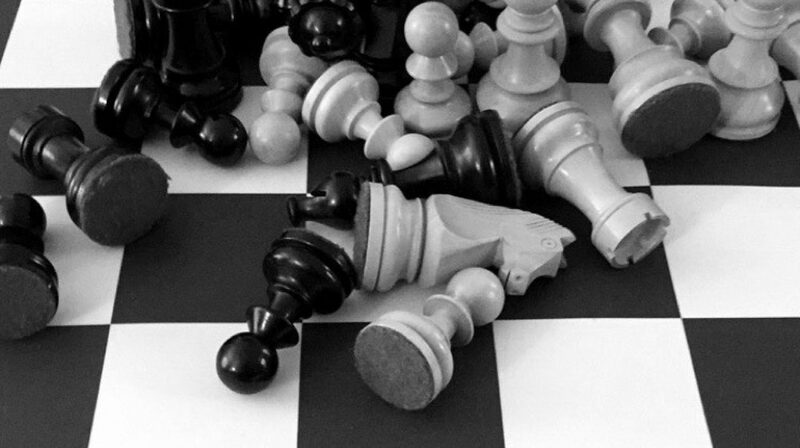 Rather than analyzing this study in post format, I decided to make a video of all the lines – winning and losing – so everyone could visualize the answer. Make sure to try and solve this one on your own first! 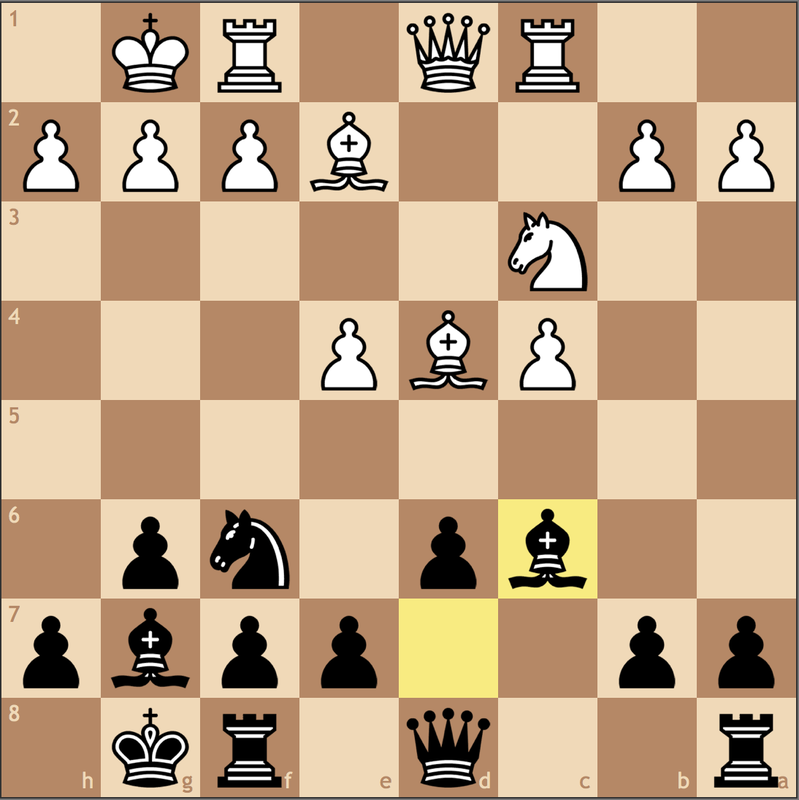 For today’s post, I wanted to discuss the nature of a critical position of the Maroczy Bind. While I typically don’t share opening ideas, the line I will share today is usually only brandished by amateur-level players, and understanding its nuances will help you combat similar bind positions. Personally, comprehending the nature of such positions was a large part of why I broke 2000, and I hope that you too can reap the benefits of being able to break down such a position. 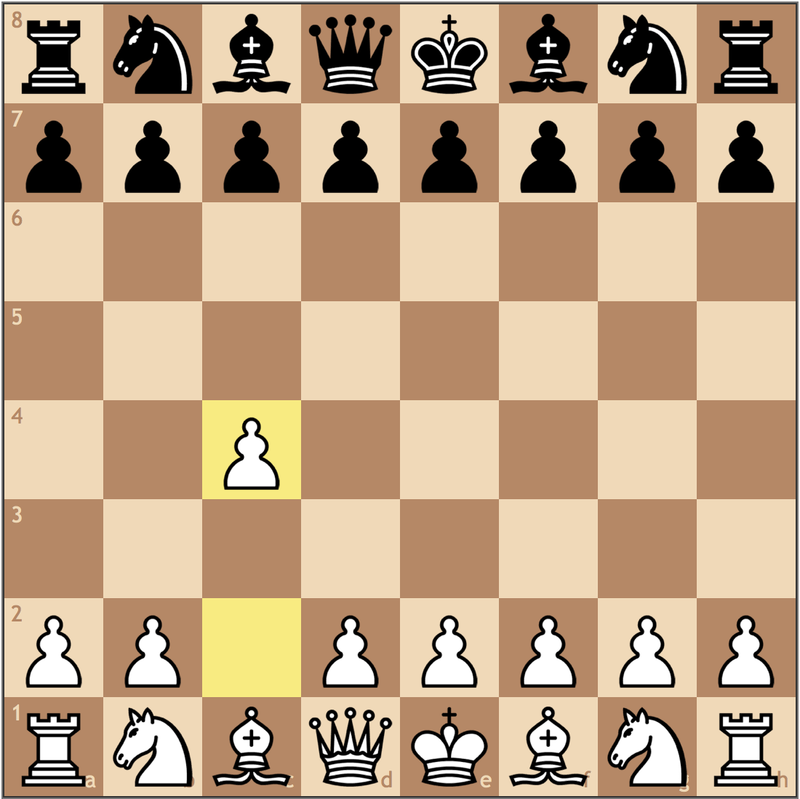 Before we get too deep analyzing the specific lines of the Maroczy Bind, let’s take a look at the basic pawn structure the opening presents. 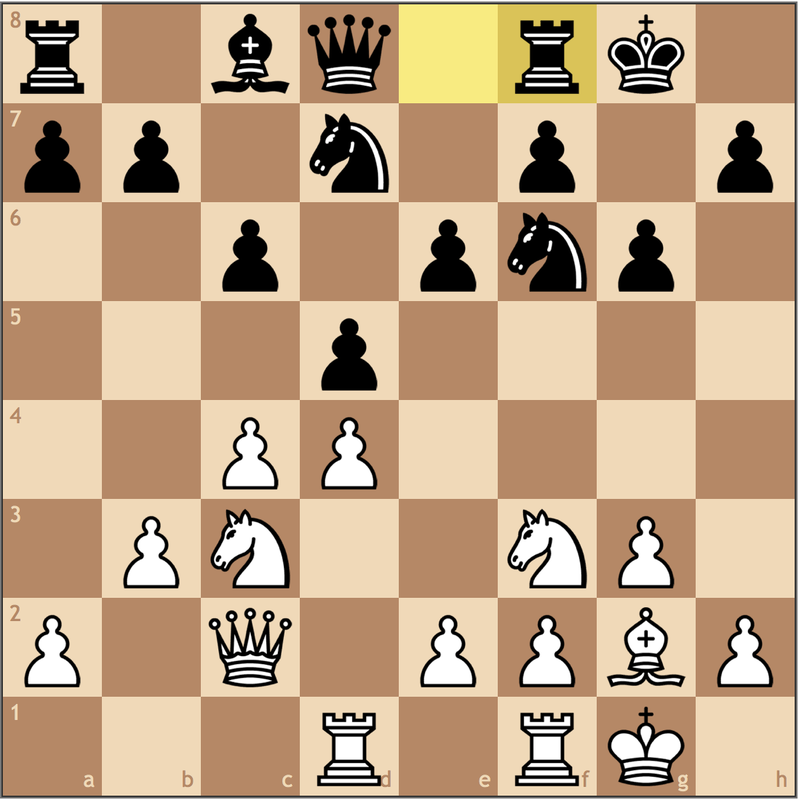 White very visibly enjoys a nice space advantage while Black is rather cramped behind his own structure. 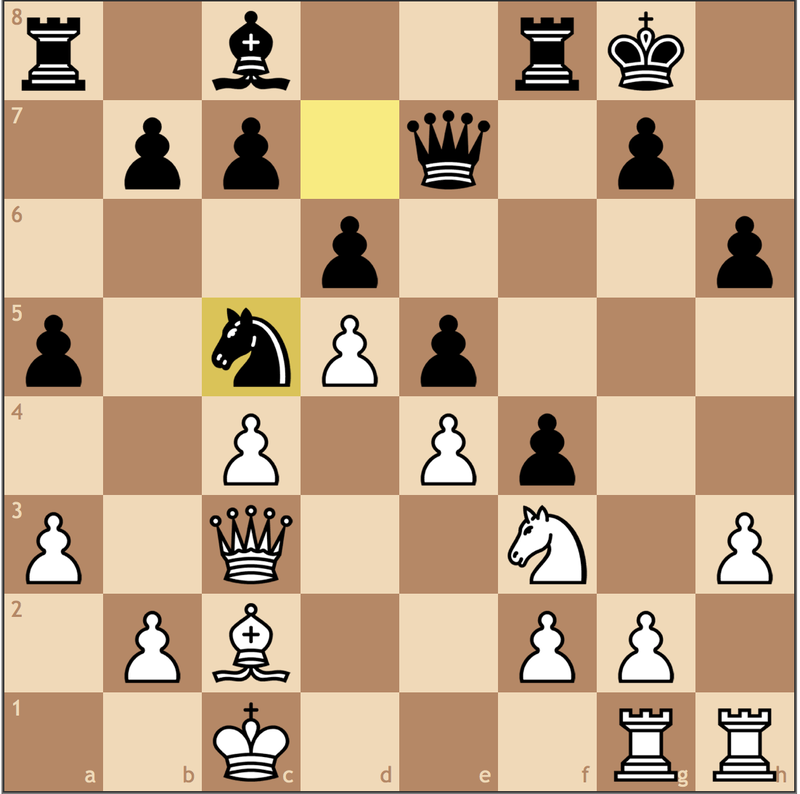 With an outpost on d5 for a knight and a potential kingside expansion, White stands well in most middlegame positions. 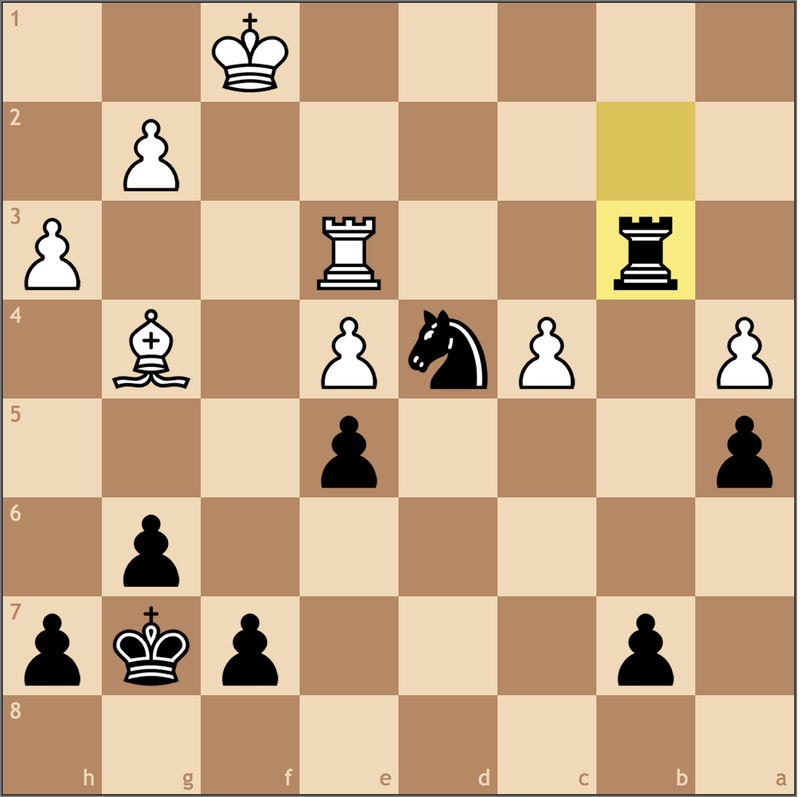 However, Black has trumps of his own too. 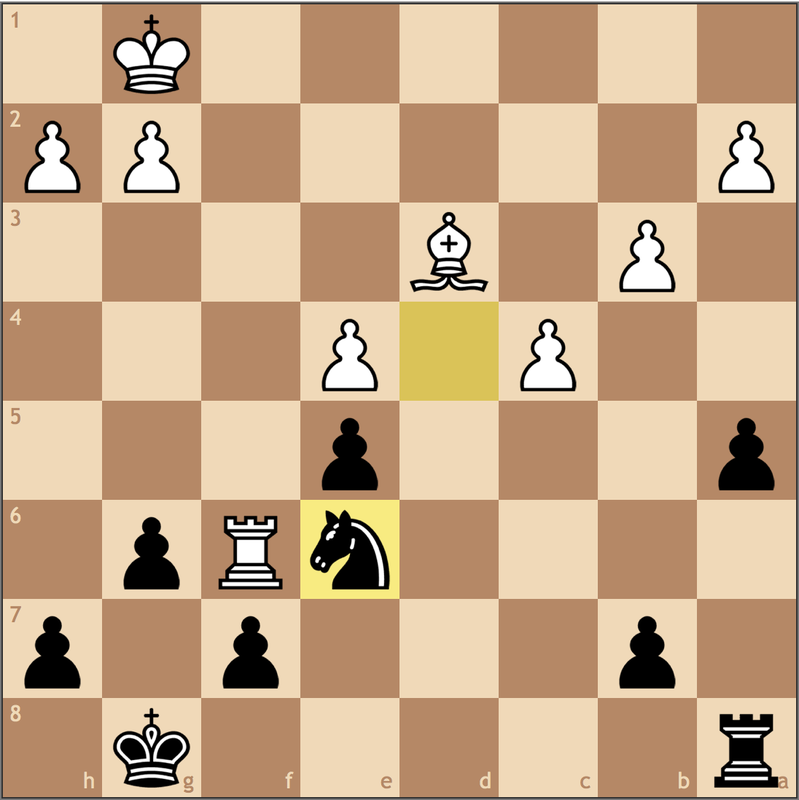 First, simply by trading pieces, space becomes a non-issue – and with two central pawns – Black can hope to be better in most endgames. 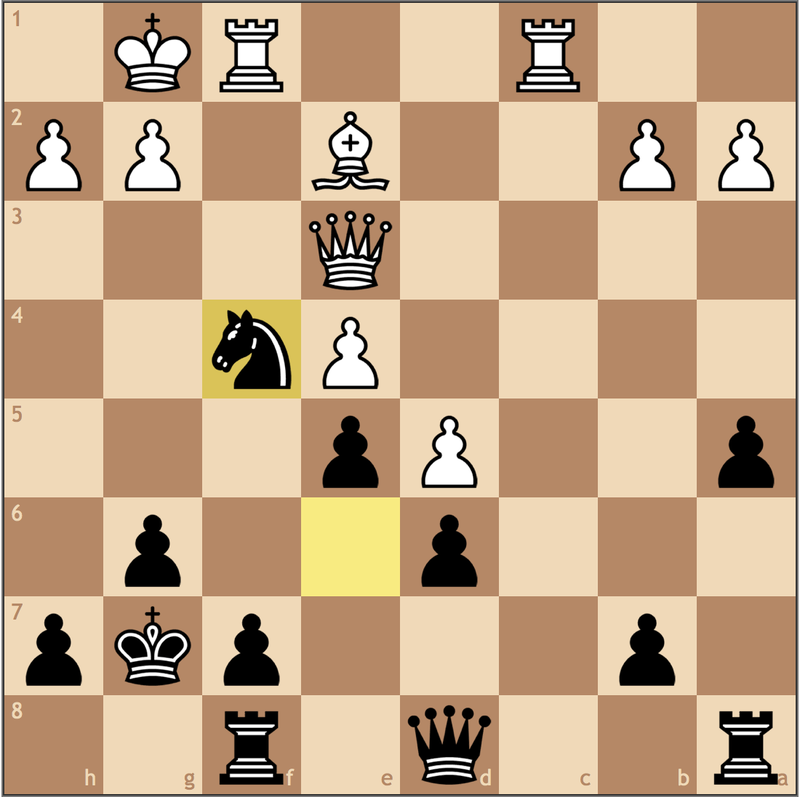 Furthermore, if Black can find play on the dark square complex e5-d4-c5, the initiative can quickly shift in his favor. The decision White has below will be the discussion of today’s article. 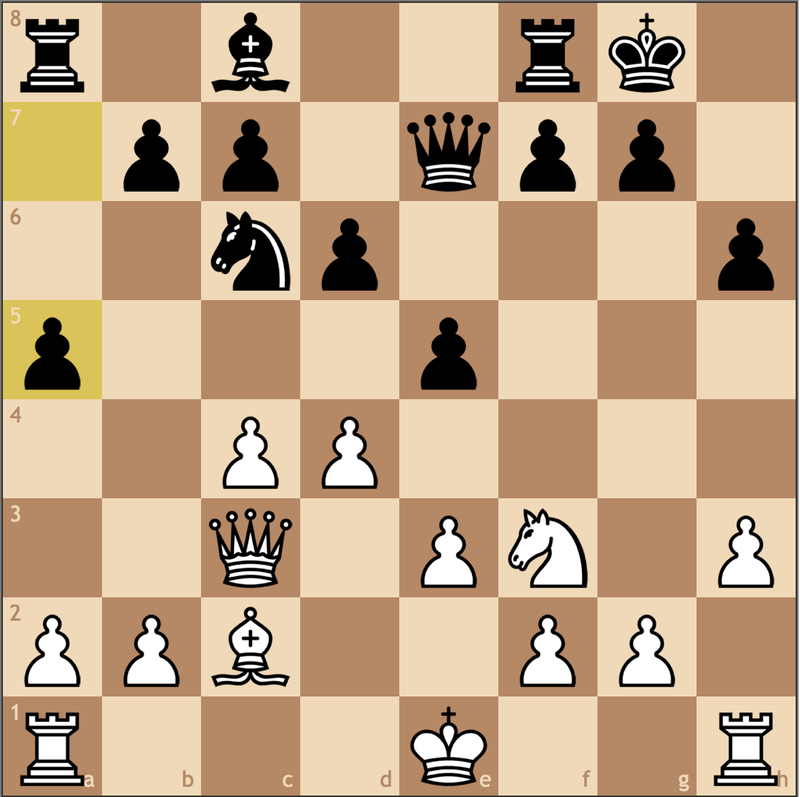 White can push for an initiative with the standard Bd4-e3, or simplify with Bxg7. 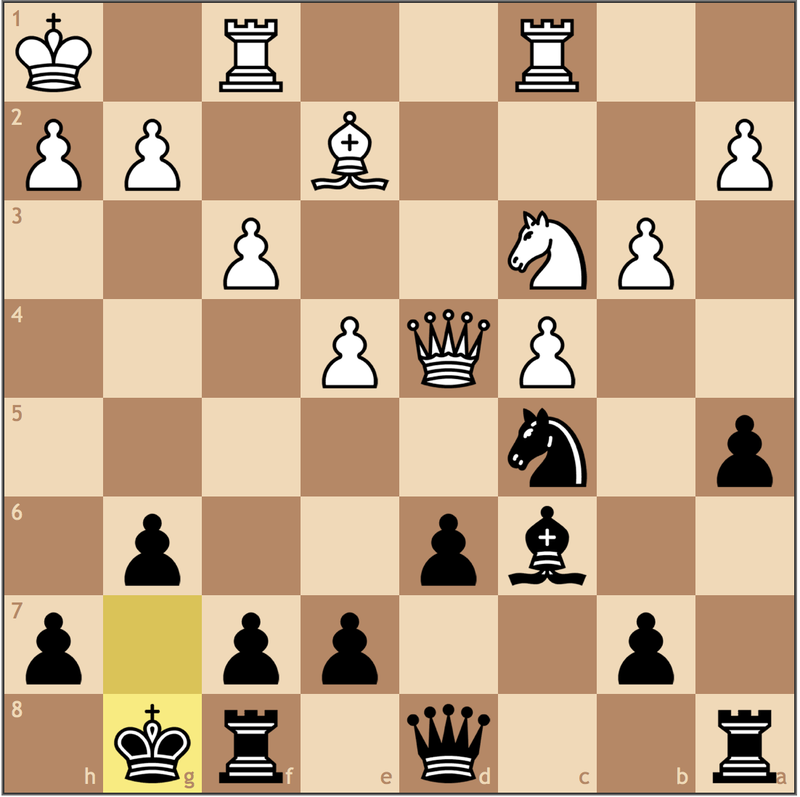 For many club players, the latter option is quite attractive as it eliminates Black’s dark squared bishop. 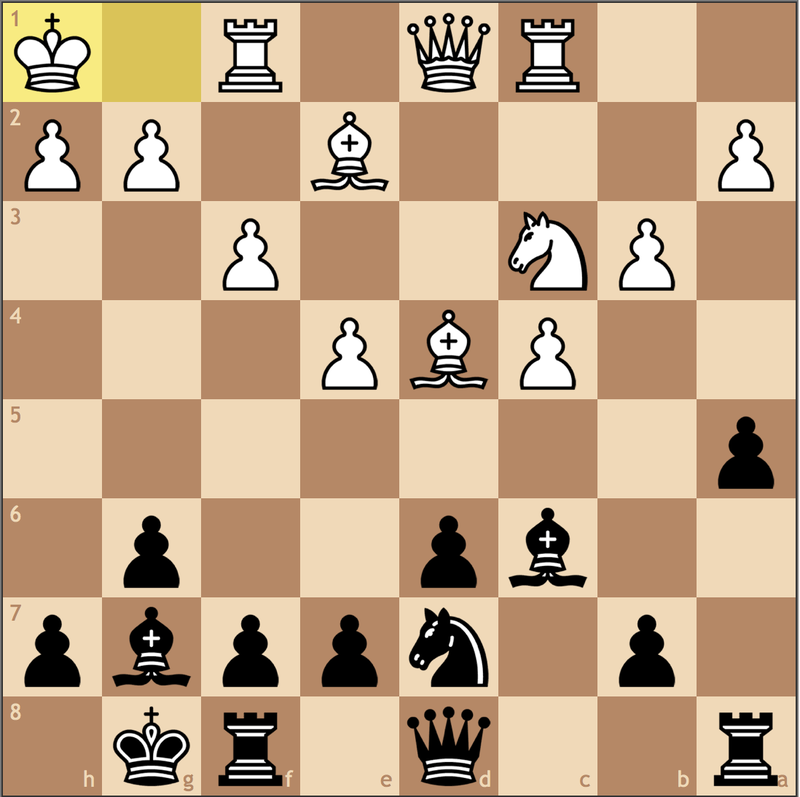 In doing so, White hopes to eliminate Black’s dark squared counterplay on the long diagonal. 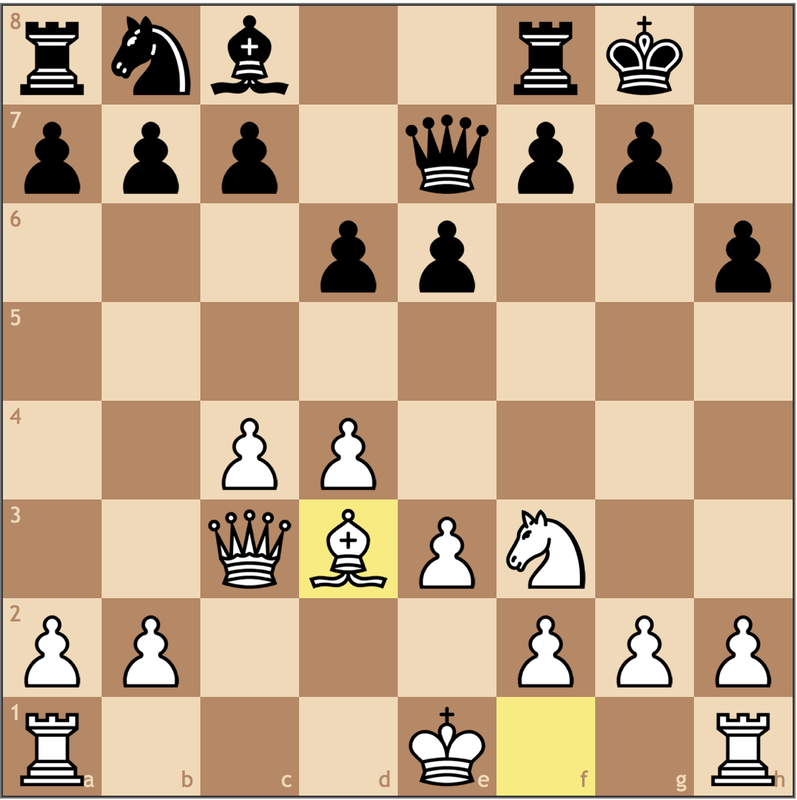 A standard move in the Bind but White missed an opportunity to exploit my move order mistake with 10. Nc2!. 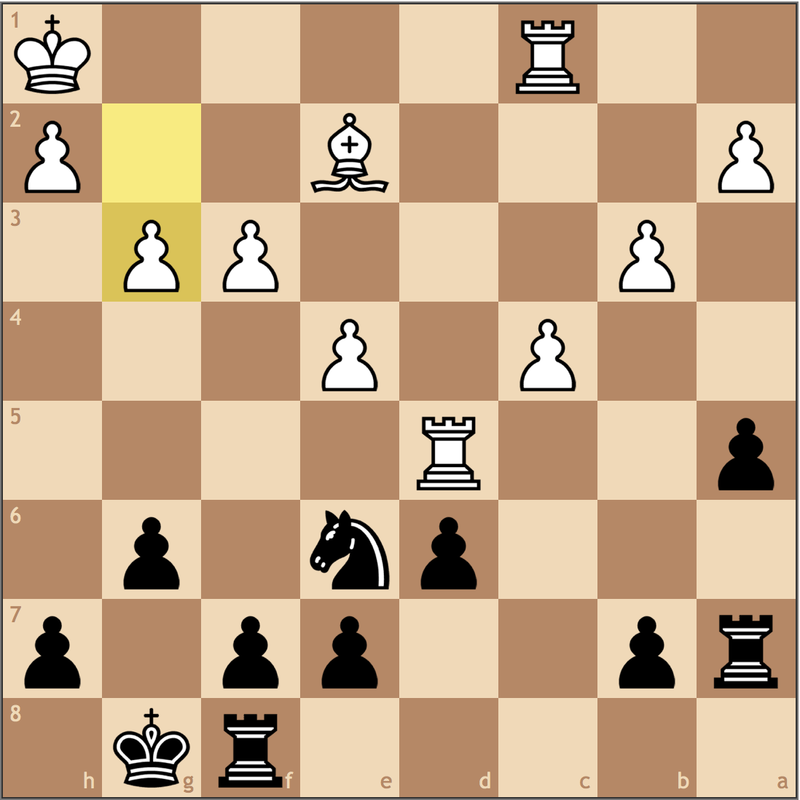 Black’s plan is to take on d4 and then place the bishop on c6 to pressure e4, so such a move would not only stop my plan but highlight the fact that my bishop is misplaced on d7 in this version of the Nc2 Maroczy. 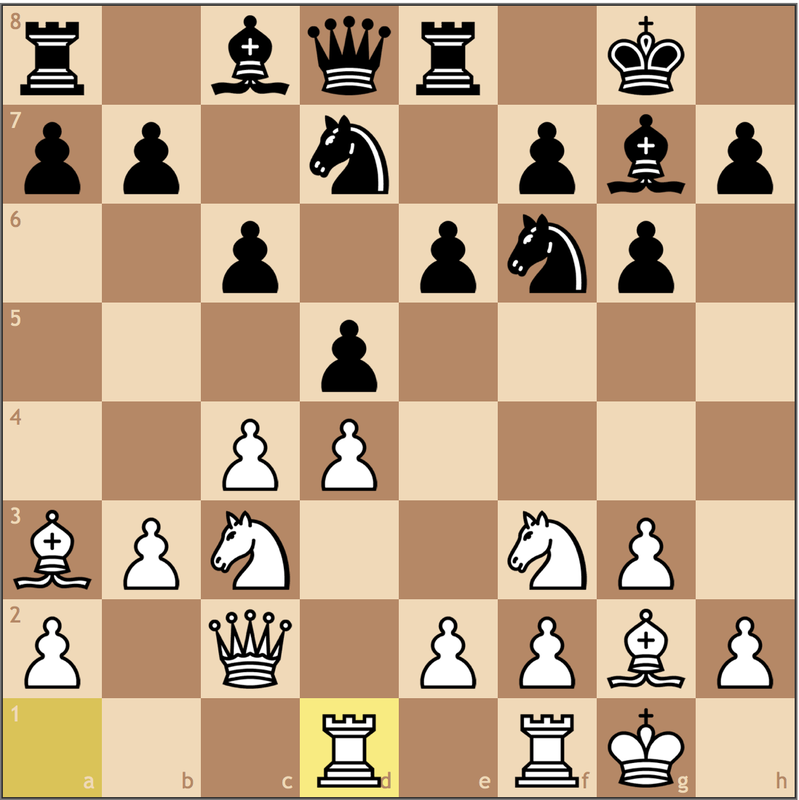 Now my bishop really belongs on e6, so at some point, I will need to spend an extra tempo playing …Be6. 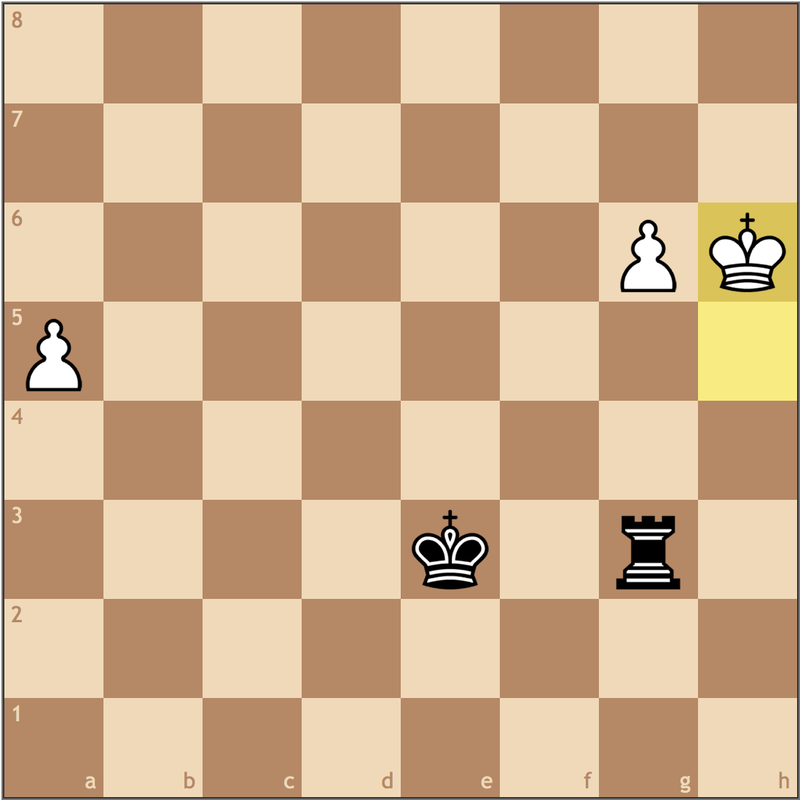 This theoretical point was battled a week after this game in the US Chess League between Grandmasters Mackenzie Molner and Eugene Perelshteyn. 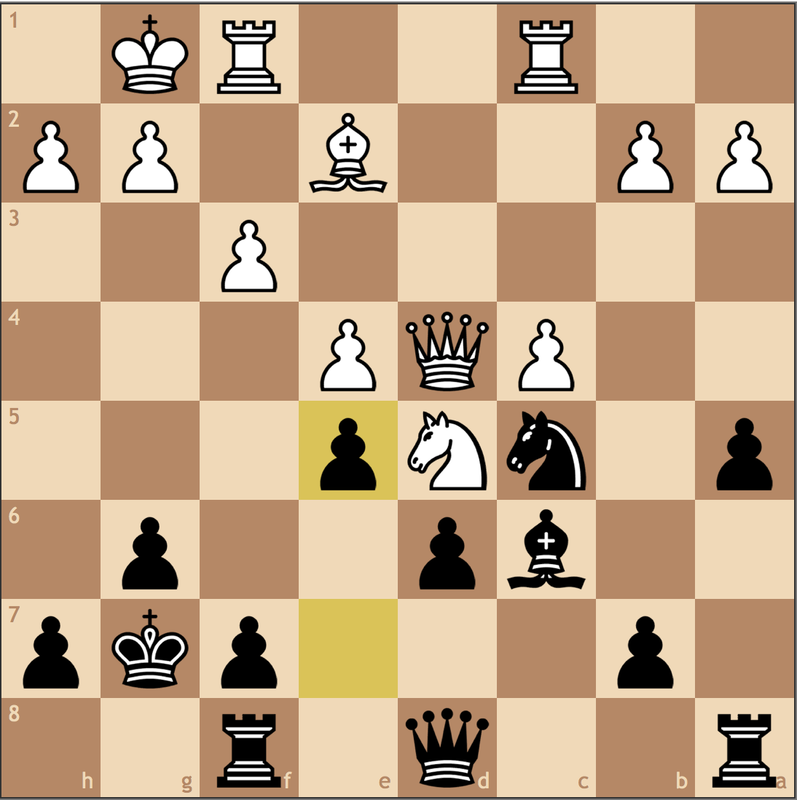 White stands better because Black can’t use the standard plan of …Nf6-d7-c5, so he has time to expand with f2-f4 while Black untangles. 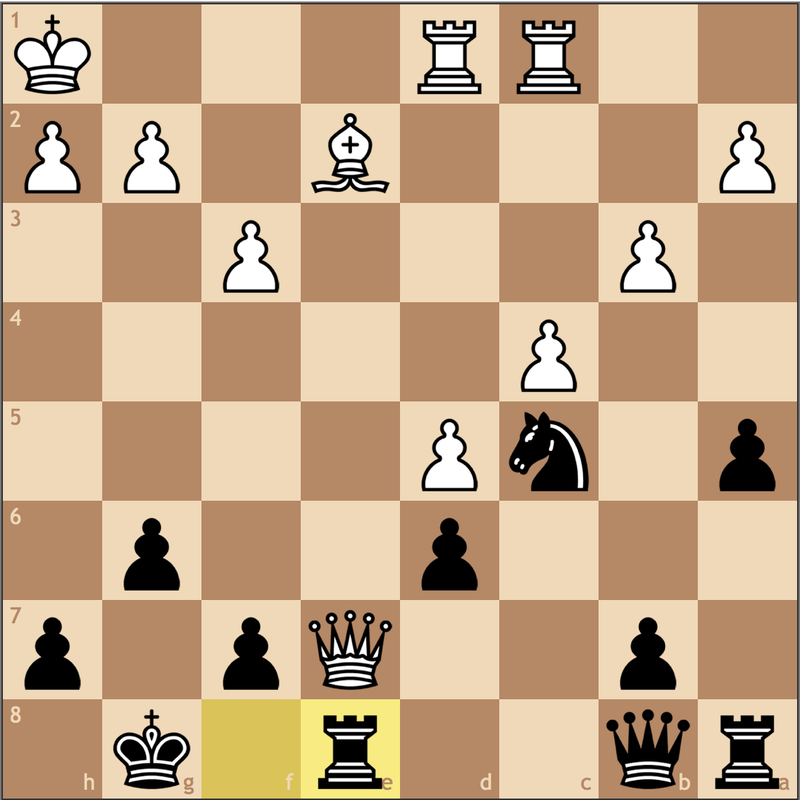 Much better for Black was 10… a5!. 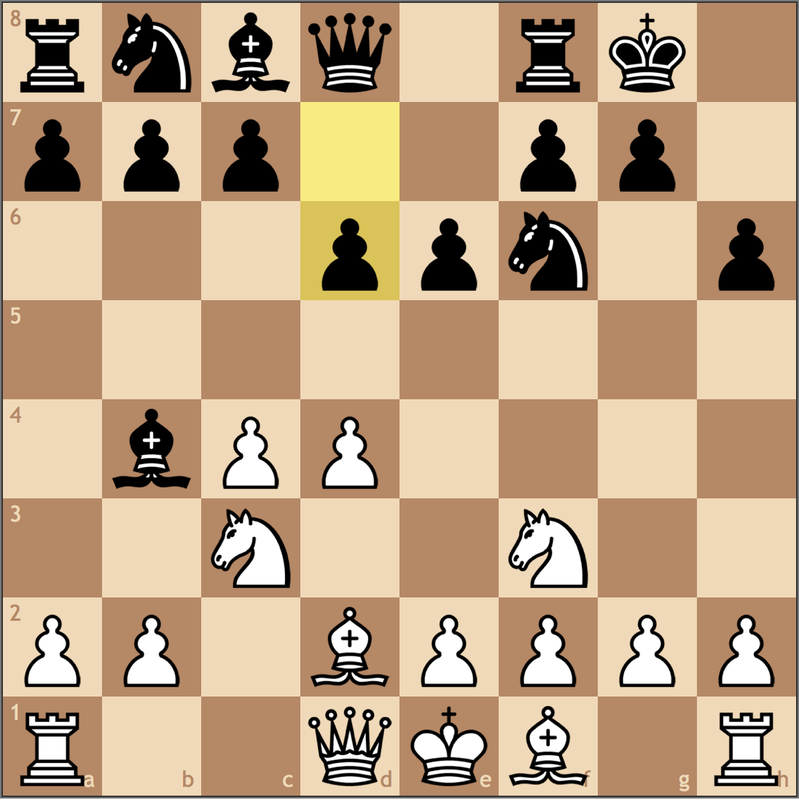 This move slows White’s queenside expansion, and if 11. 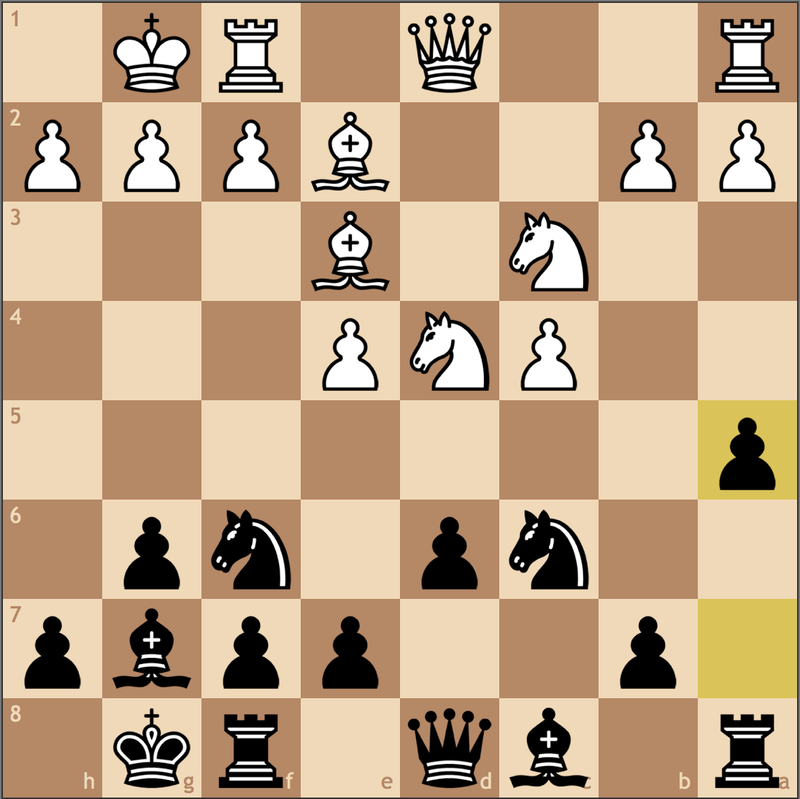 Nc2 Nd7 and we reach a main line position where Black looks to bring his knight to c5 and his bishop to e6. 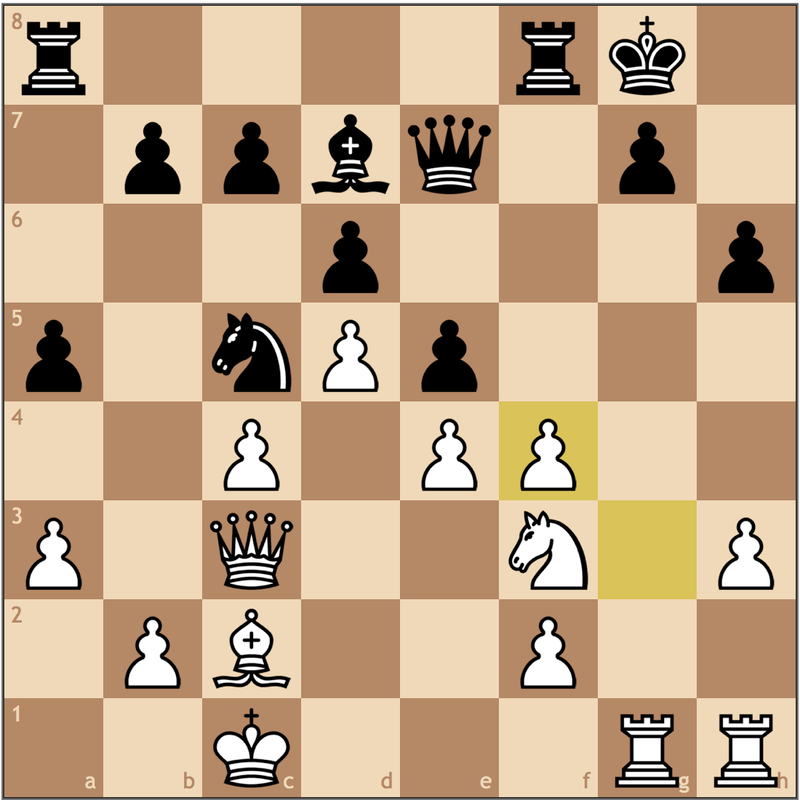 That being said, White missed this novelty and we transposed back into a mainline position. 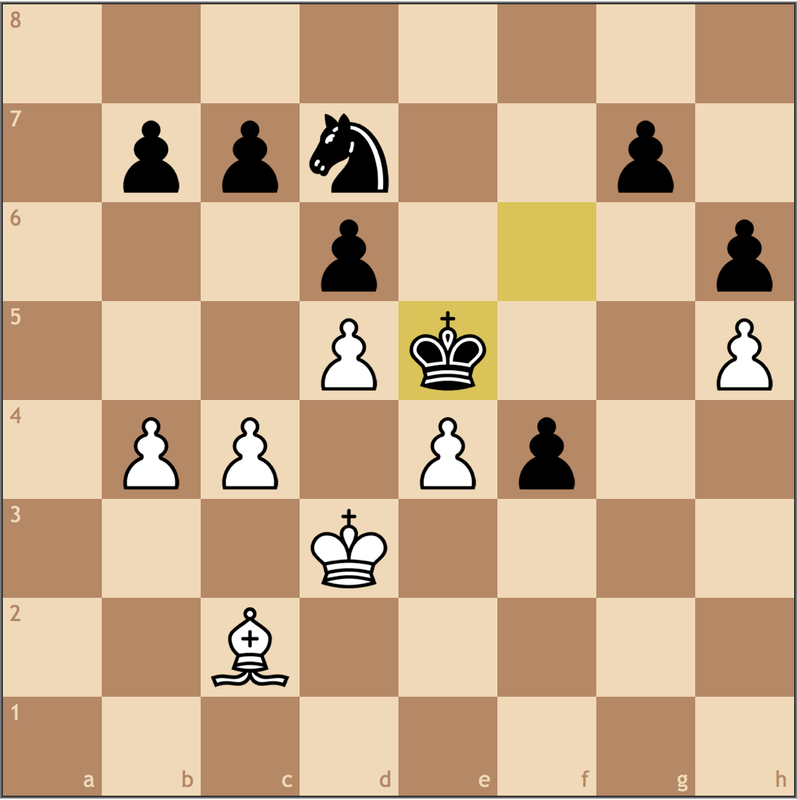 A thematic idea against the Maroczy Bind as the e4 pawn is hit. 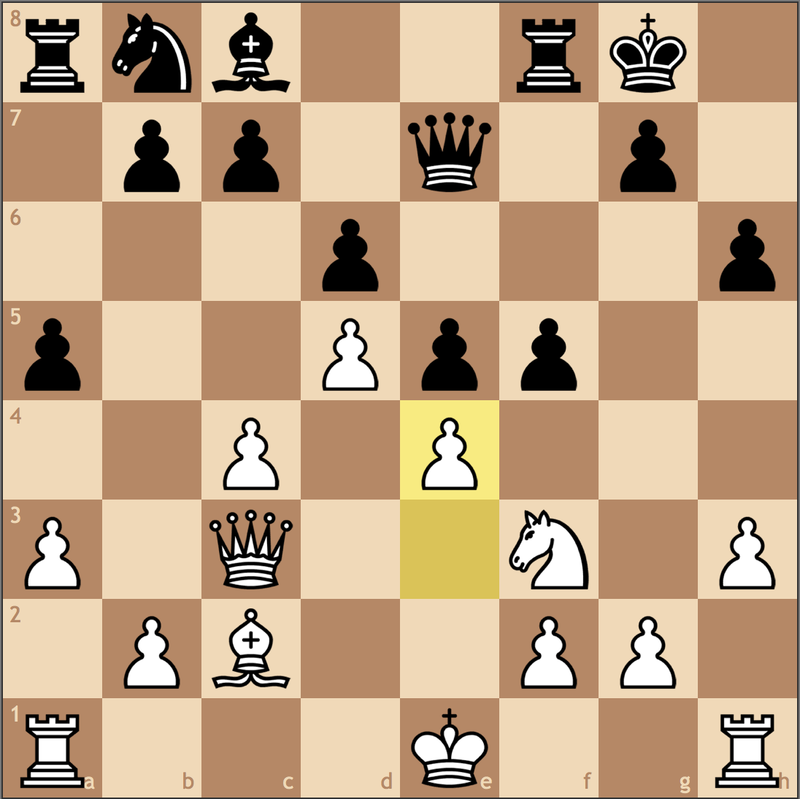 While 12. f3 might make this bishop seem bad, it slows a lot of kingside expansion ideas since moving the g-, f-, or e- pawns comes at the cost of weakening White’s own king. 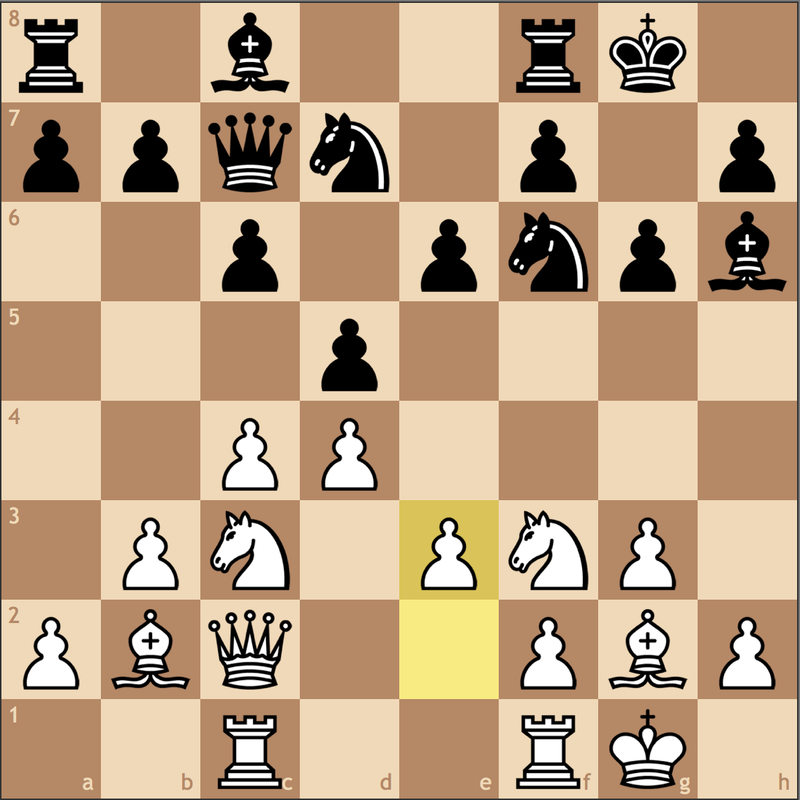 With White’s next move, he cements his structure, making his bishop on e2 bad. 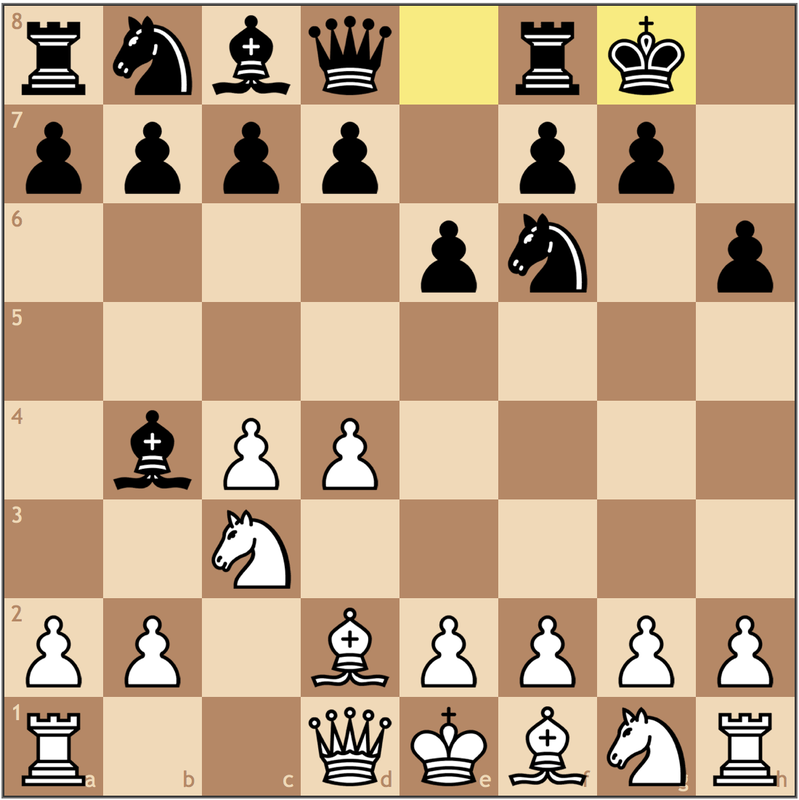 A strong move, though in an ideal world, it would have already been played. This move secures the c5 square for the f6 knight while limiting White’s queenside expansion. 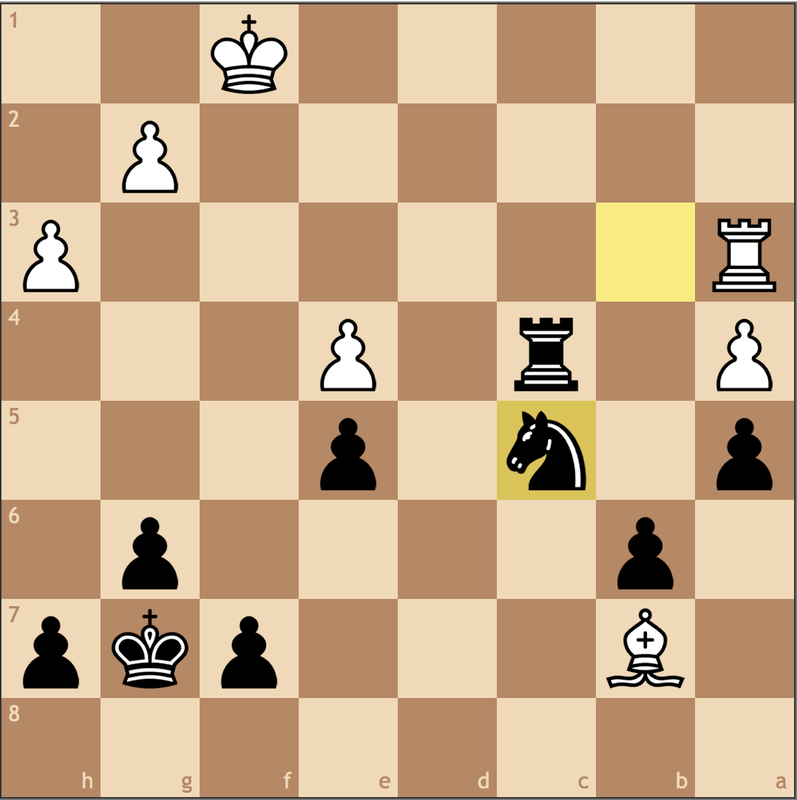 It’s critical that Black insert this move, or he can quickly enter a bad position. 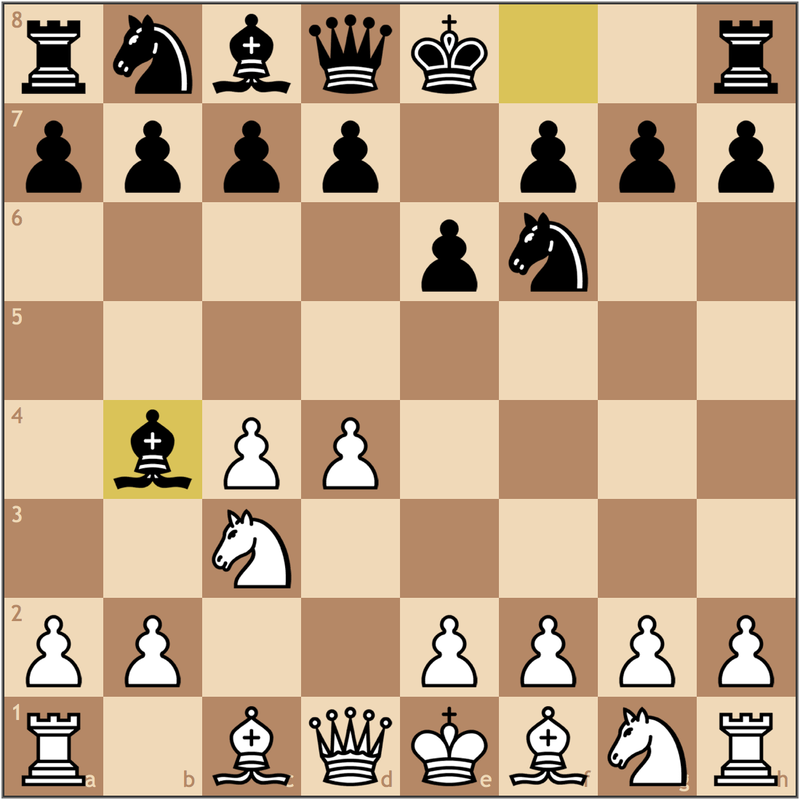 Roughly a year later from this game, I got thrown off in a similar structure, and allowed the push 12. b4! 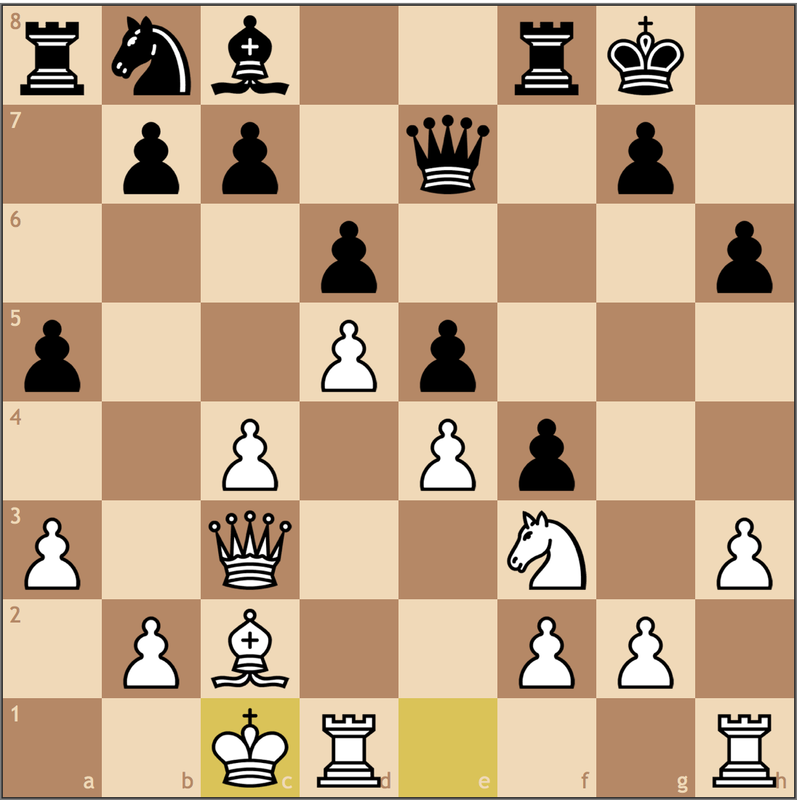 giving White a good game. 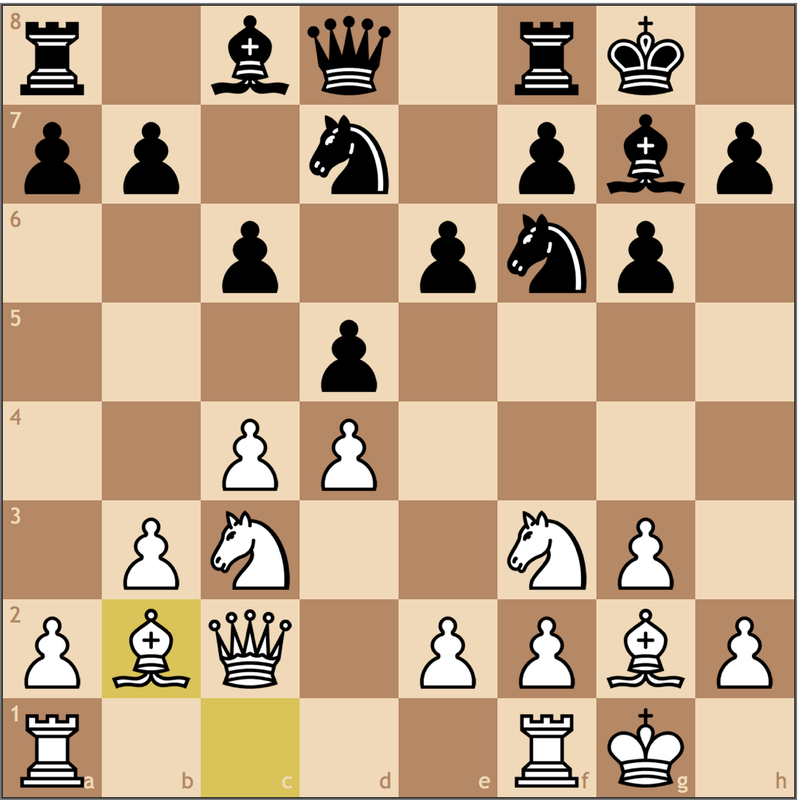 Though I managed a draw, I got a bad Hedgehog and was lucky to find a well timed …b5 break to secure the result. 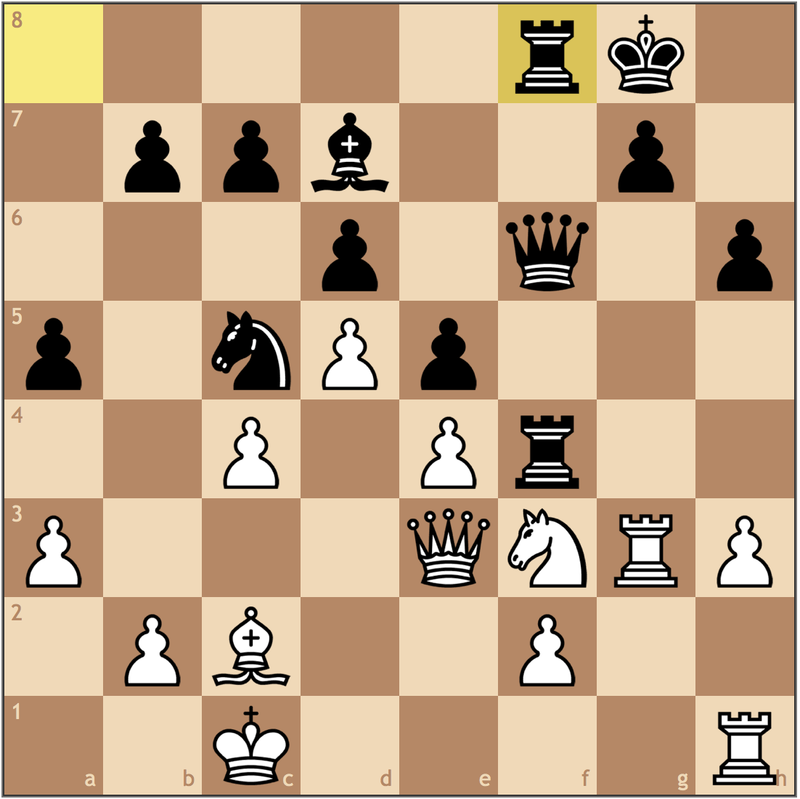 I like this move from White as it gets the king off the weak dark squares, avoiding …Qd8-b6+ ideas. 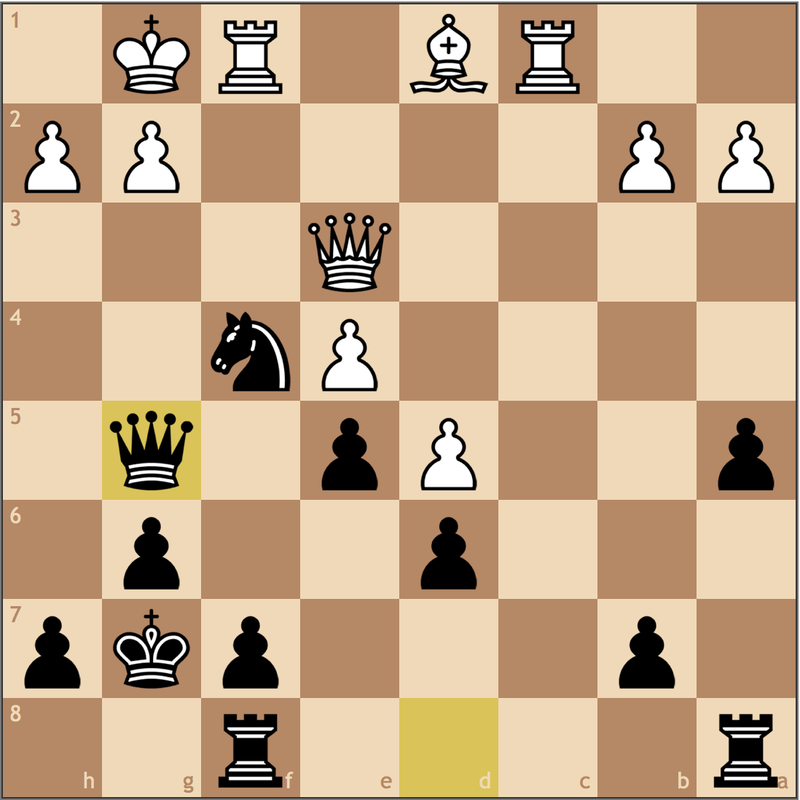 At the time, this was out of my theoretical preparation, but in all honesty, the structural integrity of the position stays the same, so Black’s plan of controlling the dark squares is still the right idea. And we’ve reached the critical position for today. 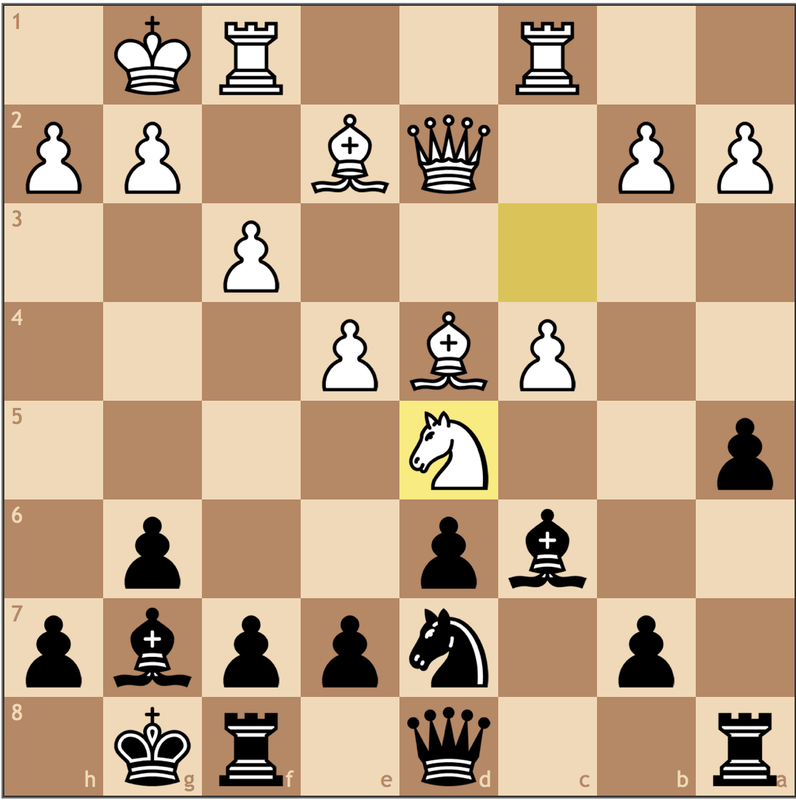 In my experience, players rated above 2000 stick with the mainline move 15. Be3, and anyone below that is more likely to consider trading on g7. 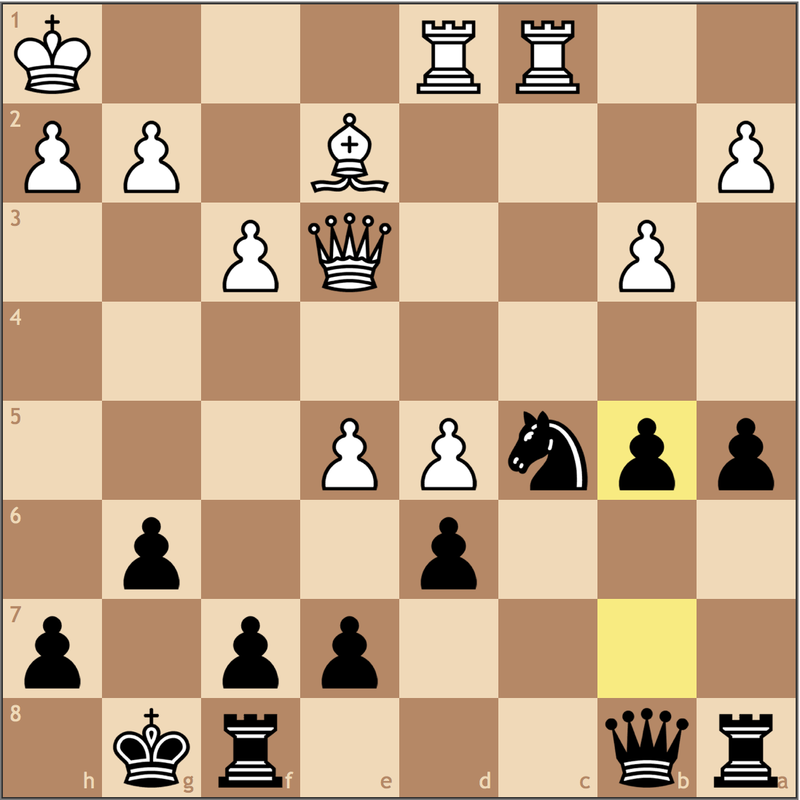 Since White signaled that he was worried about his king on the dark squares with 14. Kh1, the fact he went for the trade should not come as a surprise. 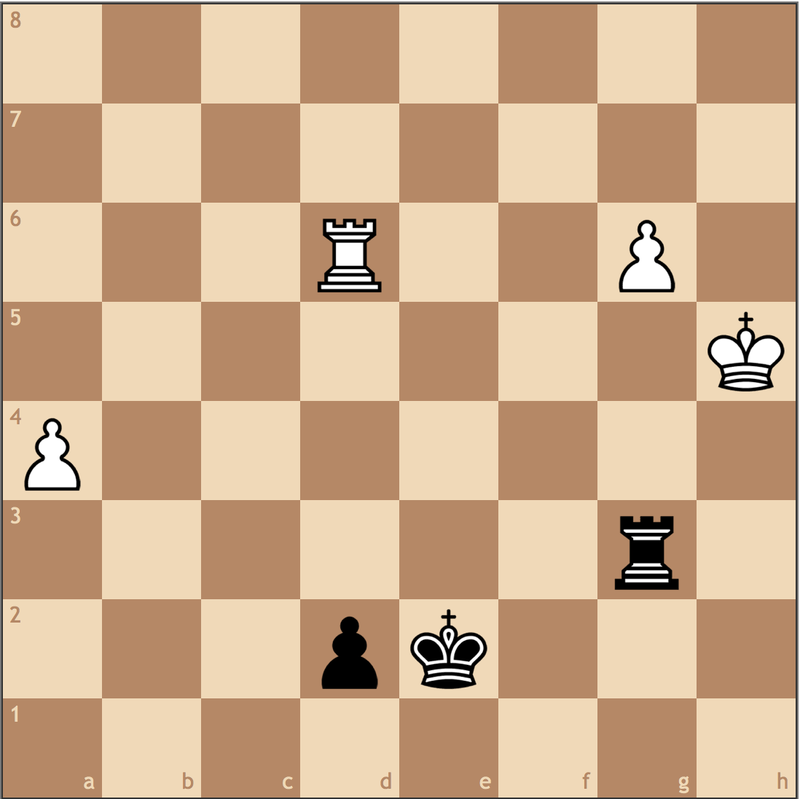 While White has a bishop, he doesn’t have a minor piece that can control the dark squares. 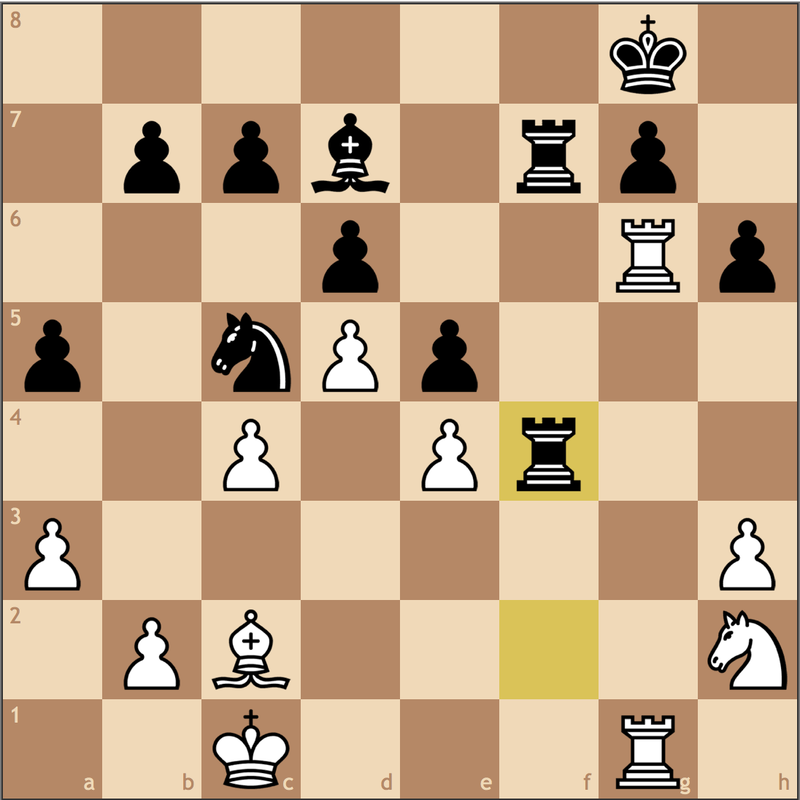 By trading the light squared bishop for White’s knight, I’ve managed to eliminate White’s ability to create counterplay. This is actually a big issue for White, since his counterplay usually stems from Nc3-d5 and c4/e4xd5 to put more pressure on Black. 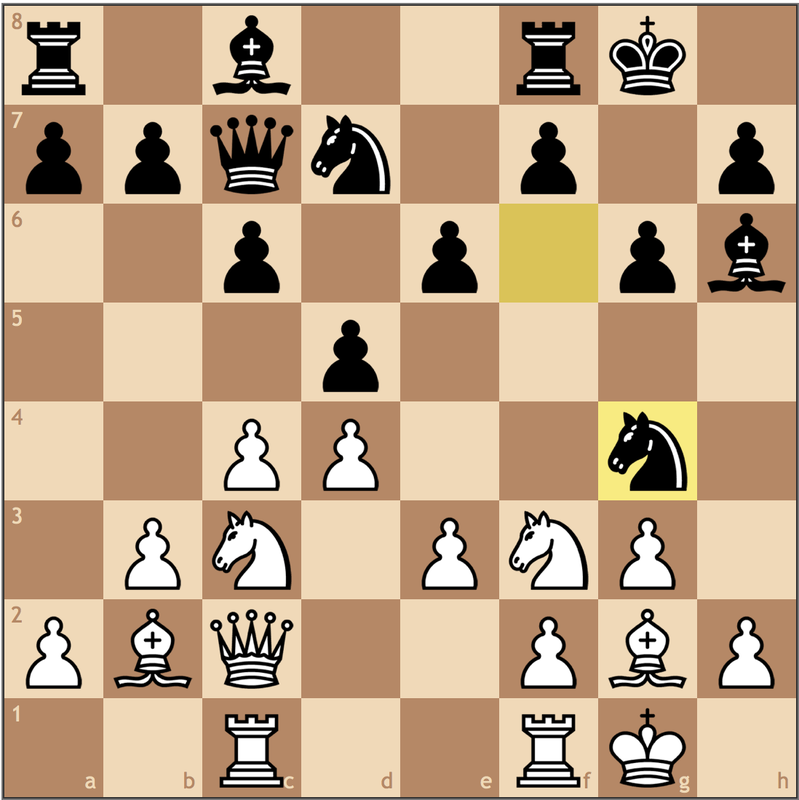 While I was later rewarded for this move, I don’t think it’s nearly as strong as the more thematic 17… Qb6. 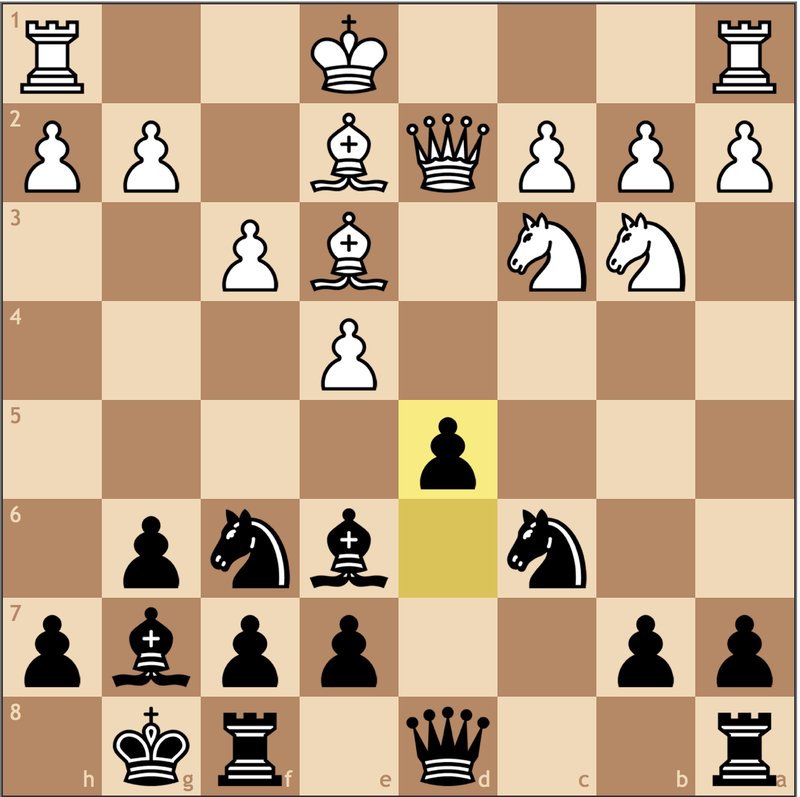 Though self-pinning, Black has two plans with this move. First, I can play Rfc8 before retreating the queen to d8, thus exectuing “Smyslov’s Formation” in getting both of the rooks on the same side as the king. The more active plan, as diagrammed below is to bring the queen to b4 and march the a-pawn to undermine White’s structure. 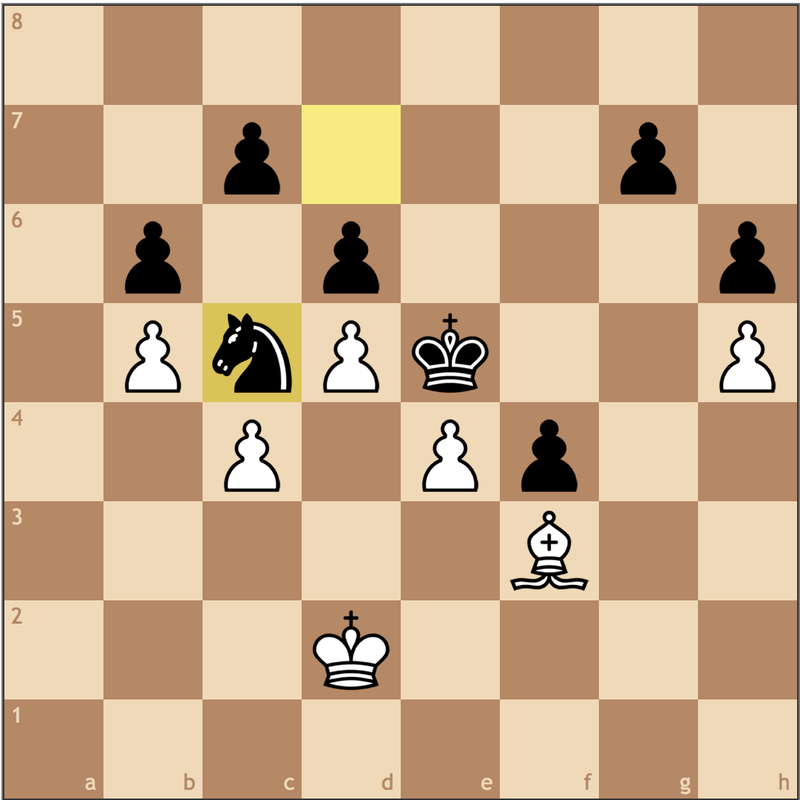 I recall finding this move, and I think it’s one of the more difficult choices I had to make. With the queen on d8, White threatens e4-e5, breaking Black’s solidarity in the center. 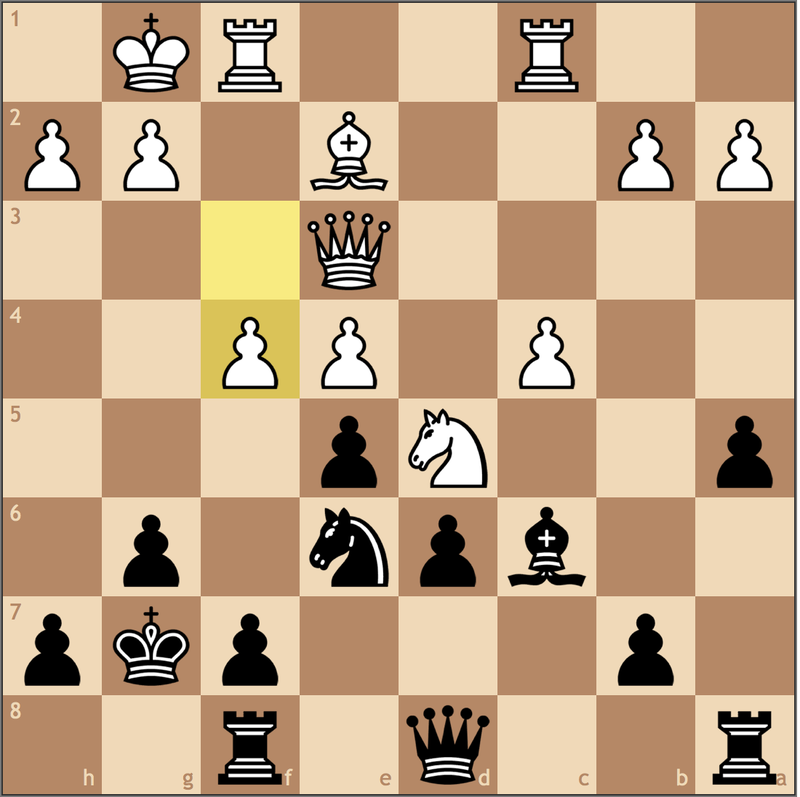 The idea of moving to b8 not only evades White’s plan, but prepares …Qb8-a7 with the aim of trading queens or controlling the dark squares. 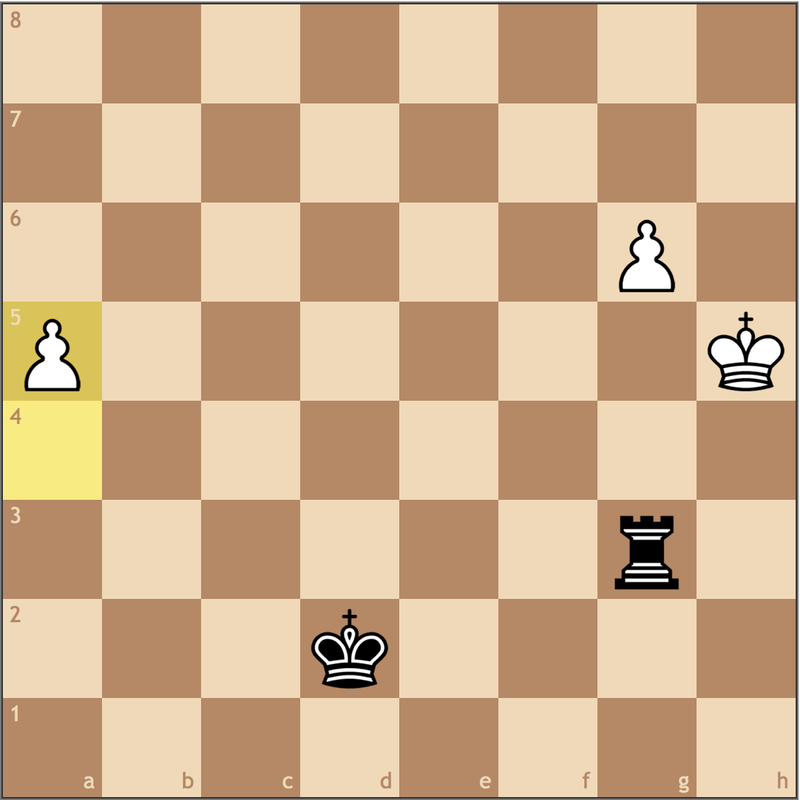 While conecptually this move isn’t too difficult to find, precise calculation is required for the next position. White has three ways to capture, and I had to be sure I was at least equal in all of these lines. White opted for the least challenging option, 20. Rxd5, so we’ll discuss that last. 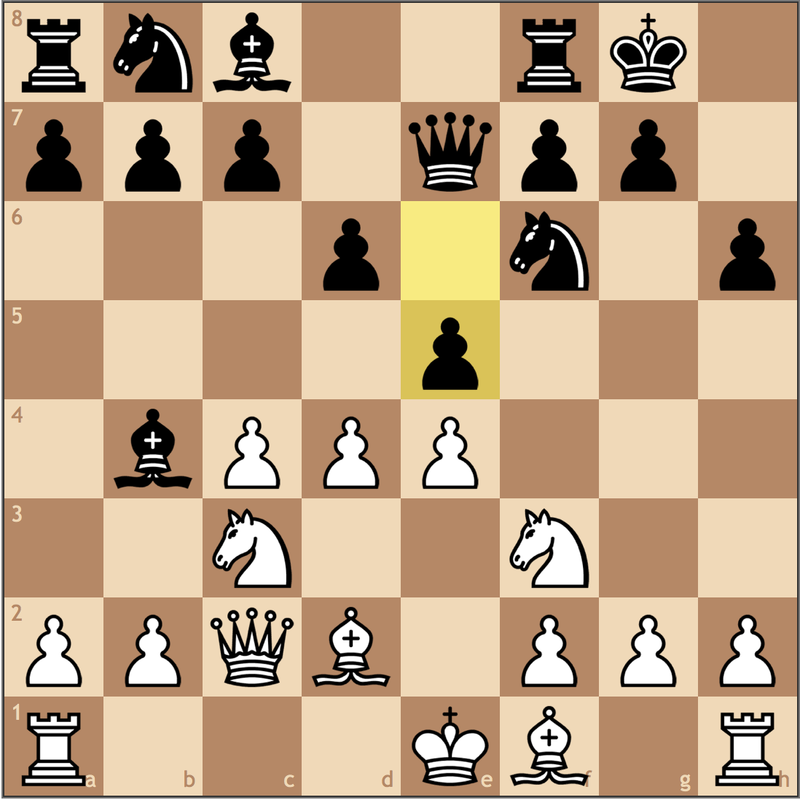 If 20. cxd5 Nc5 and 21. e5 can be ignored with 21… b5 with an interesting position. 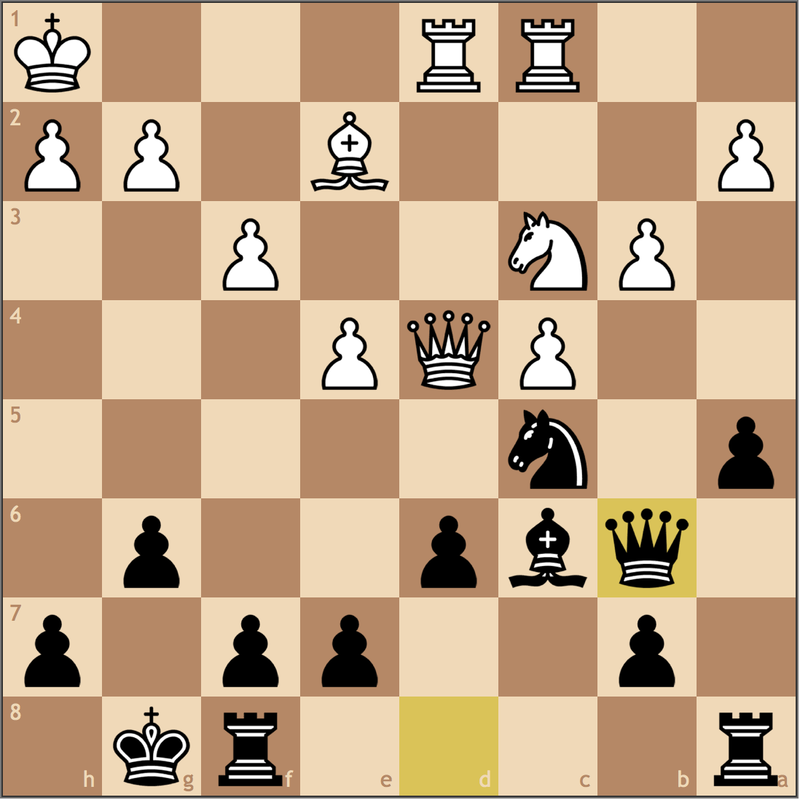 With the d6-pawn secured, 22. exd6 exd6 will only favor Black, as I’ll be faster in claiming the file. 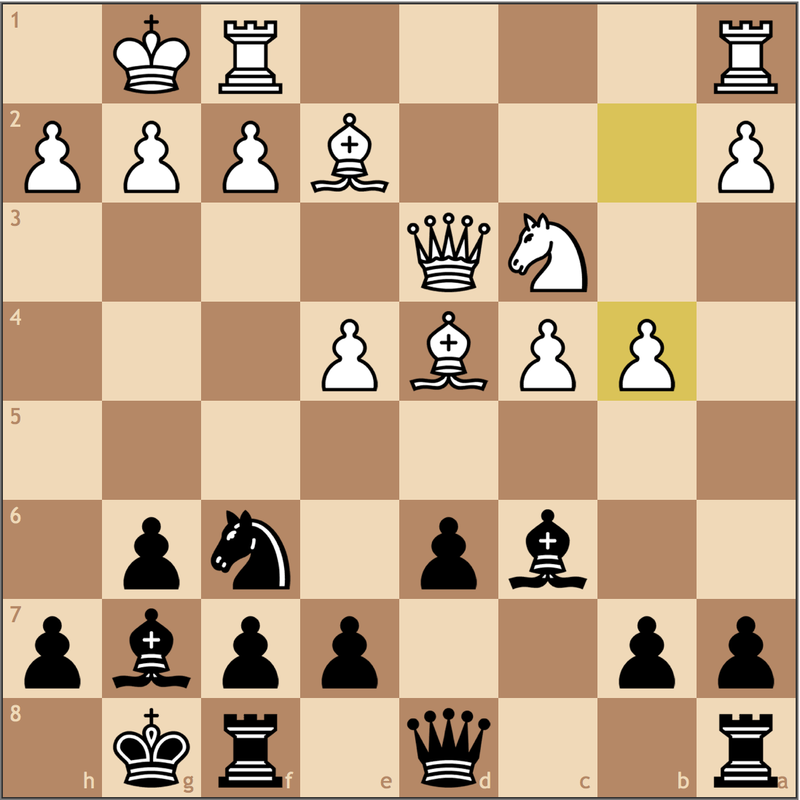 White still has a bad bishop despite the more open position, so Black cannot be dissatisfied. 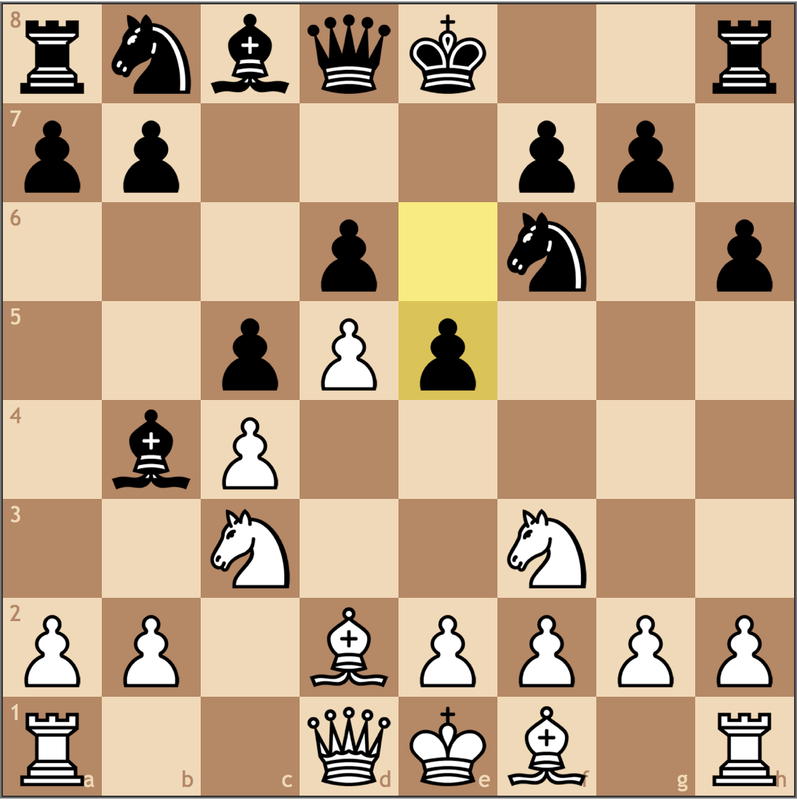 White will find that the e-pawn is posioned if he tries 20. exd5 thanks to his bishop on e2, as 20… Nc5 21. Qxe7?? 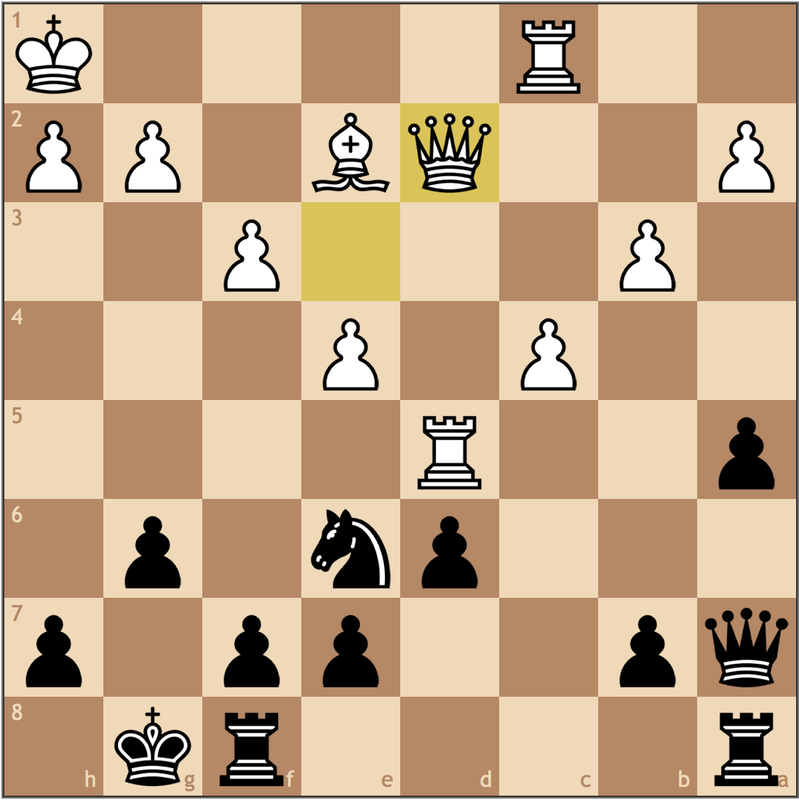 Re8 -+ is simply winning a piece. 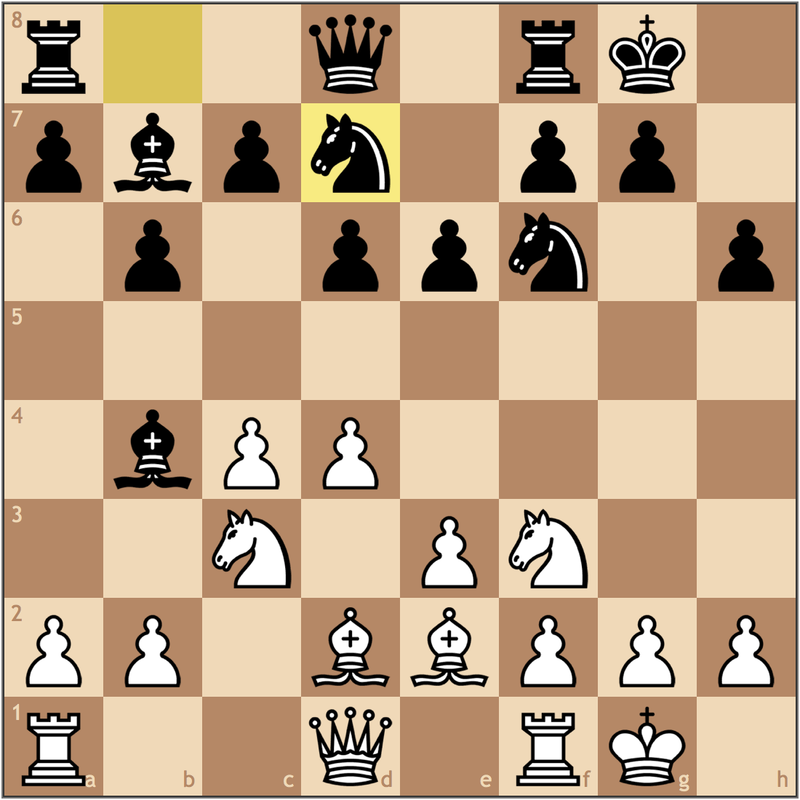 So I maintained that I was at least equal with some chances with 18… Qb8. I was least afraid of this response since it didn’t push me to come up with a positional answer. Now I can execute my idea of …Qb8-a7. 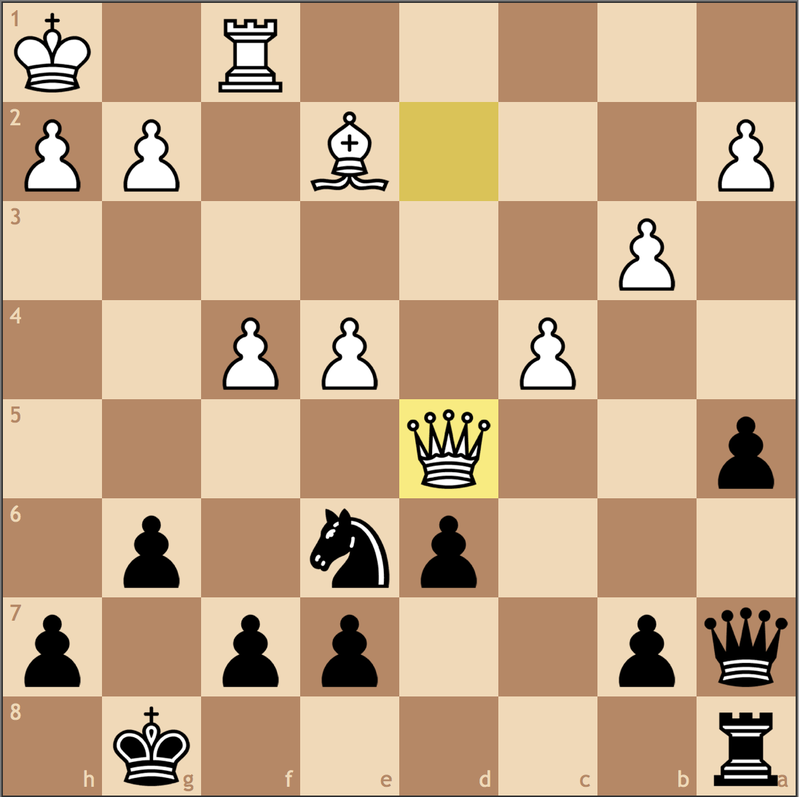 With this move, White cedes the initiative to Black. 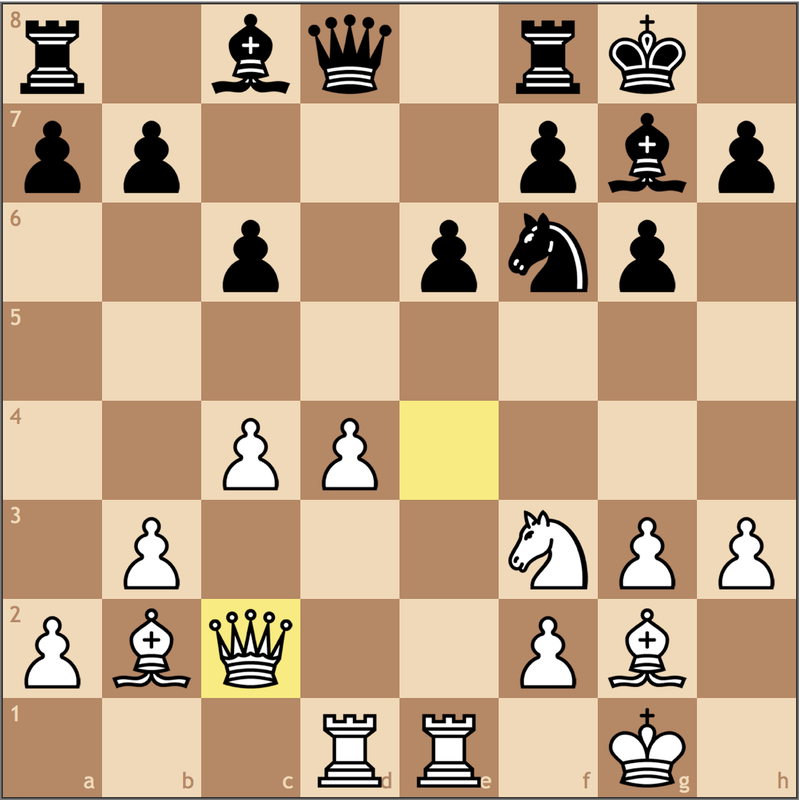 Now White must always be weary of the queen entering on f2 or e3, as well as potential knight jumps to f4. White could reach equality with 21. Qxa7 Rxa7 22. g3 stopping the …Ne6-f4 fork, and Black’s awkward rook on a7 gives White time to expand with f3-f4. Black of course is in no risk of losing, but is very clearly playing for a draw. 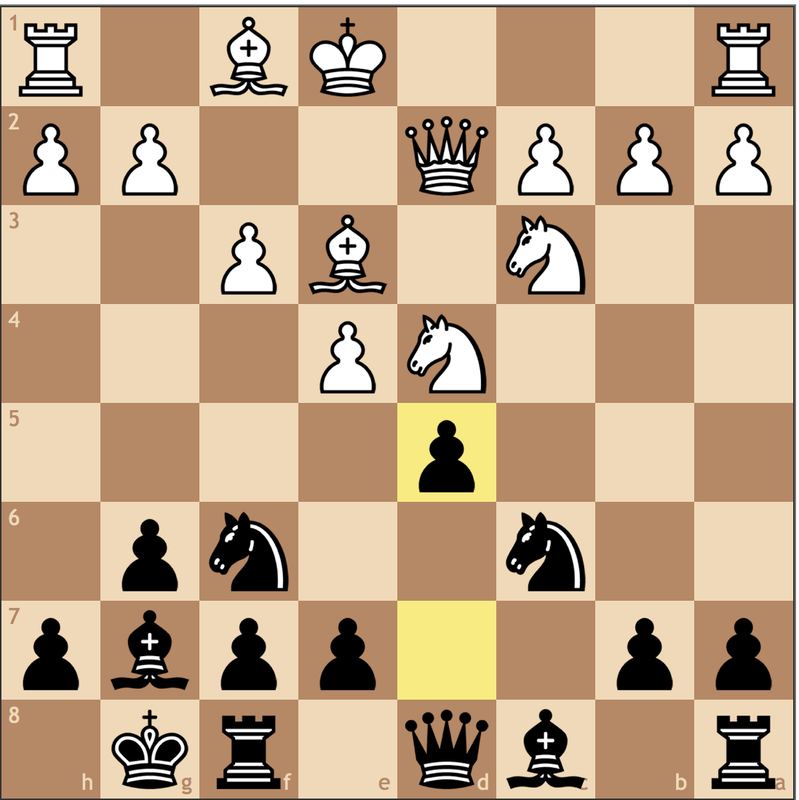 This is why I believe I would have been better served with the strategic choice 17… Qb6. 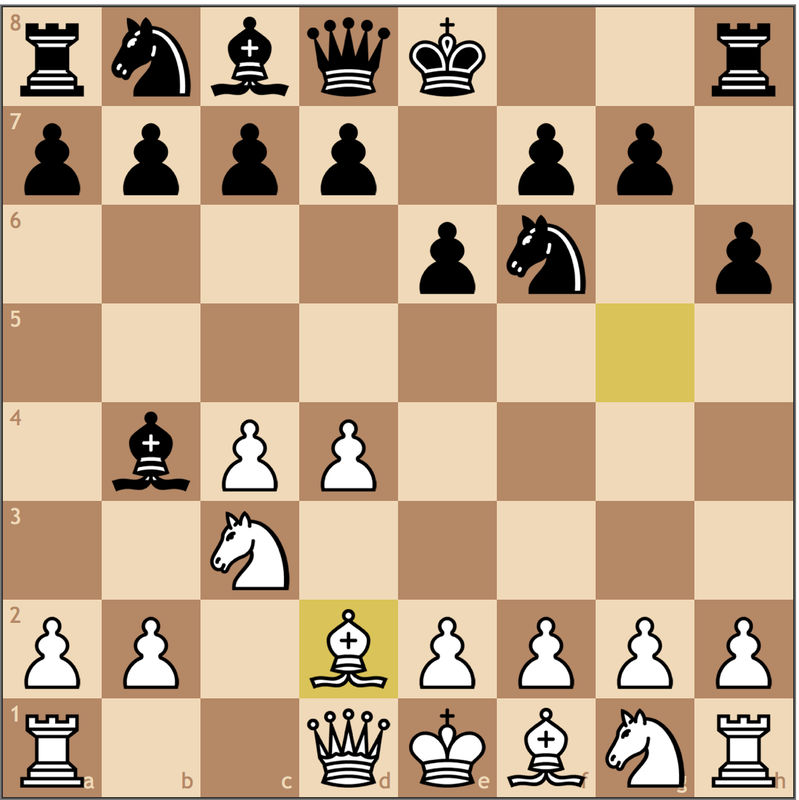 Still a little cramped, I offered to trade pieces before White has time to activate the light squared bishop. 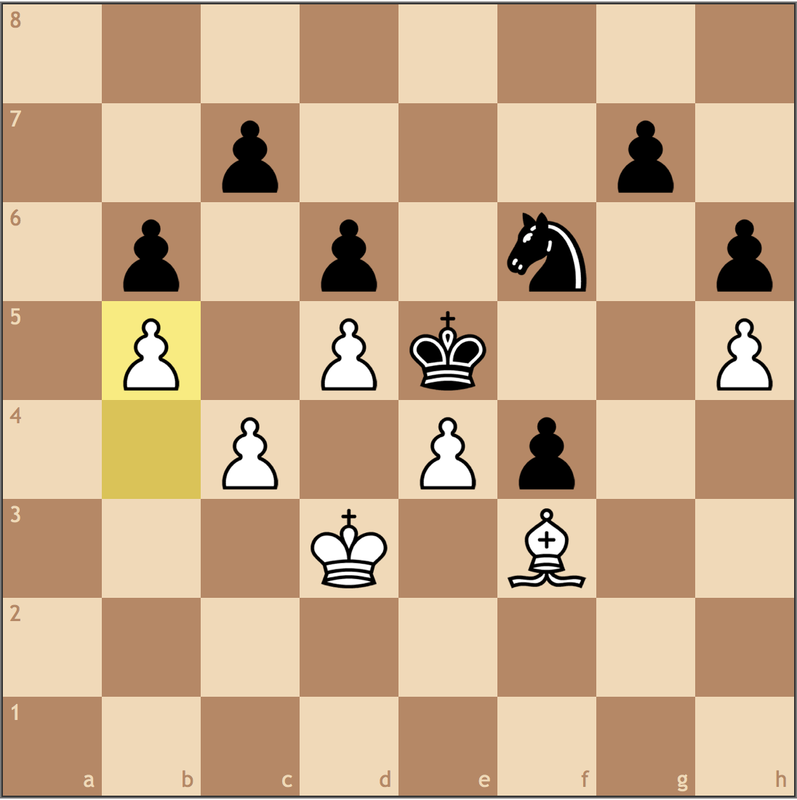 With each trade, White will find it more difficult to secure the dark squares. 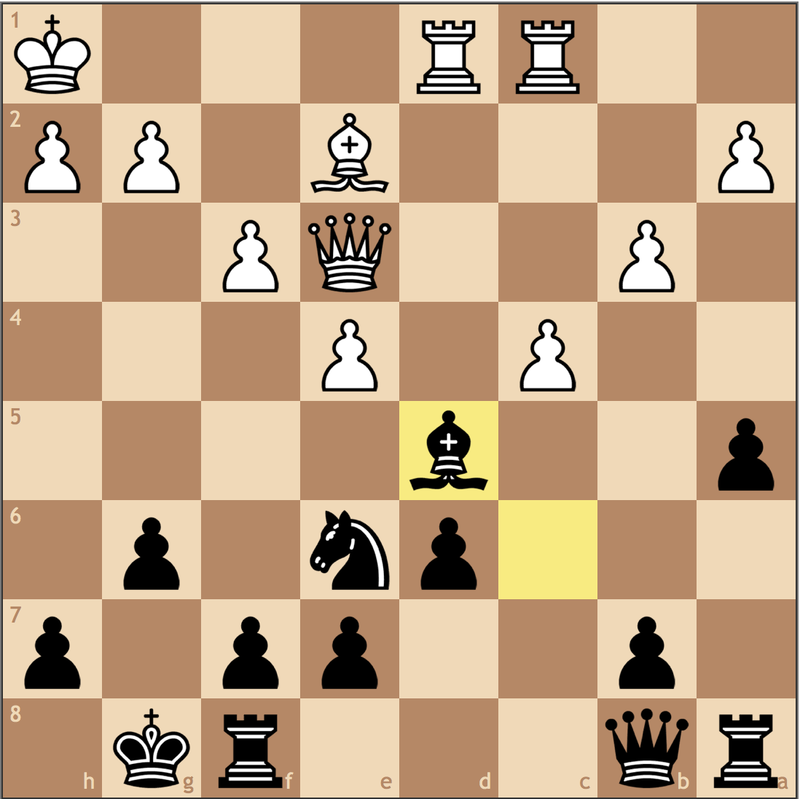 This move is strategically losing, as it gives up control of the e3 to the Black queen, which will force a lost endgame for White. 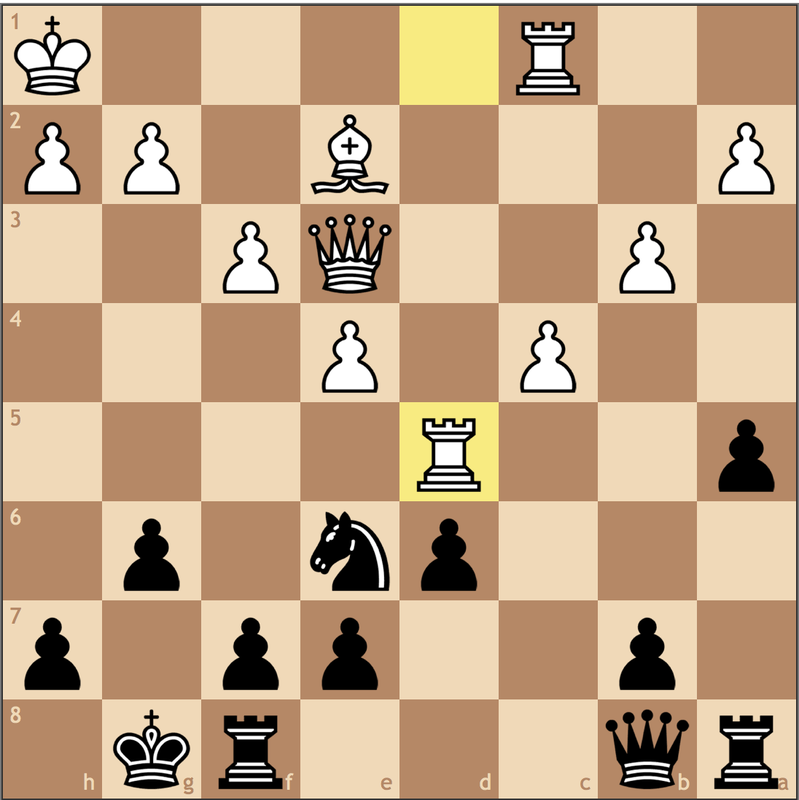 Neither pawn capture is really great either, as I have an intermediate …Qa7-d4, and the dark squares will prove too difficult to defend. Finally! 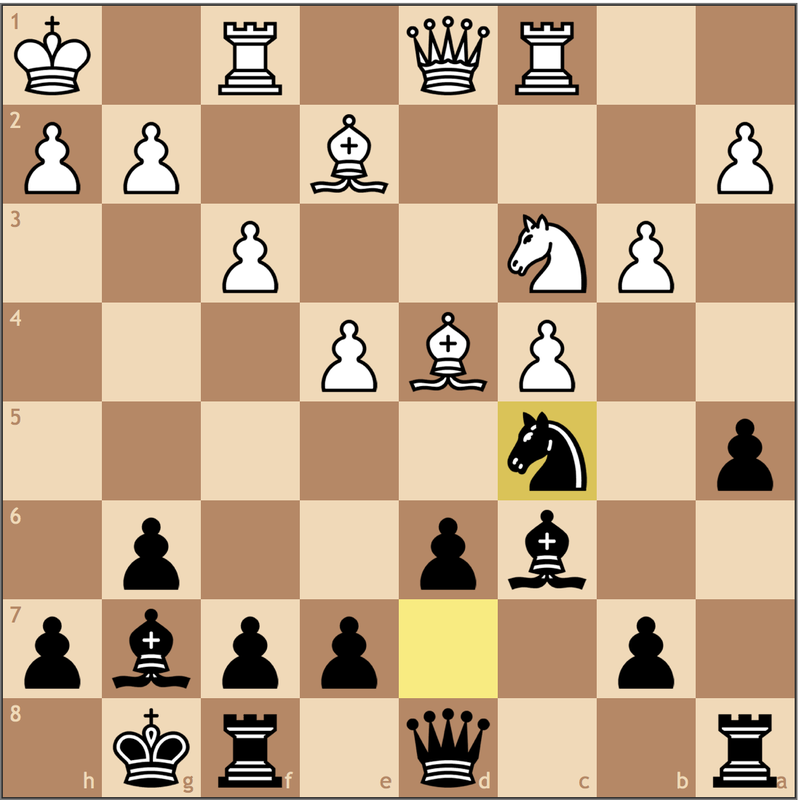 With the d4 outpost secured, I will play …e7-e5, locking up the position, giving Black the only winning chances. 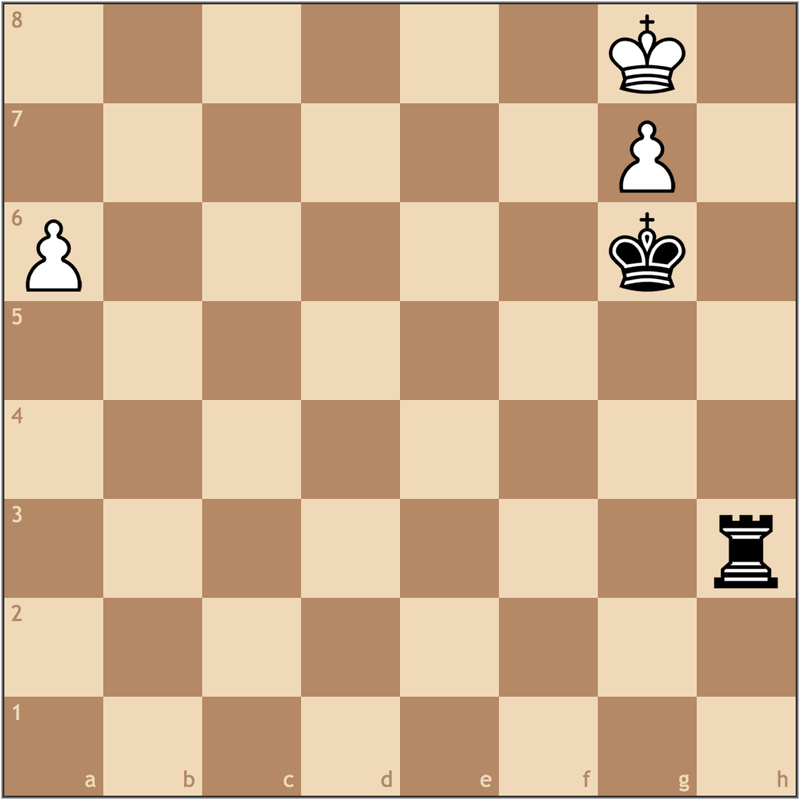 The following moves, while not directly related to the opening strategies are illustrative of the woes of a bad Maroczy endgame. Here the light squared bishop simply neve finds play. 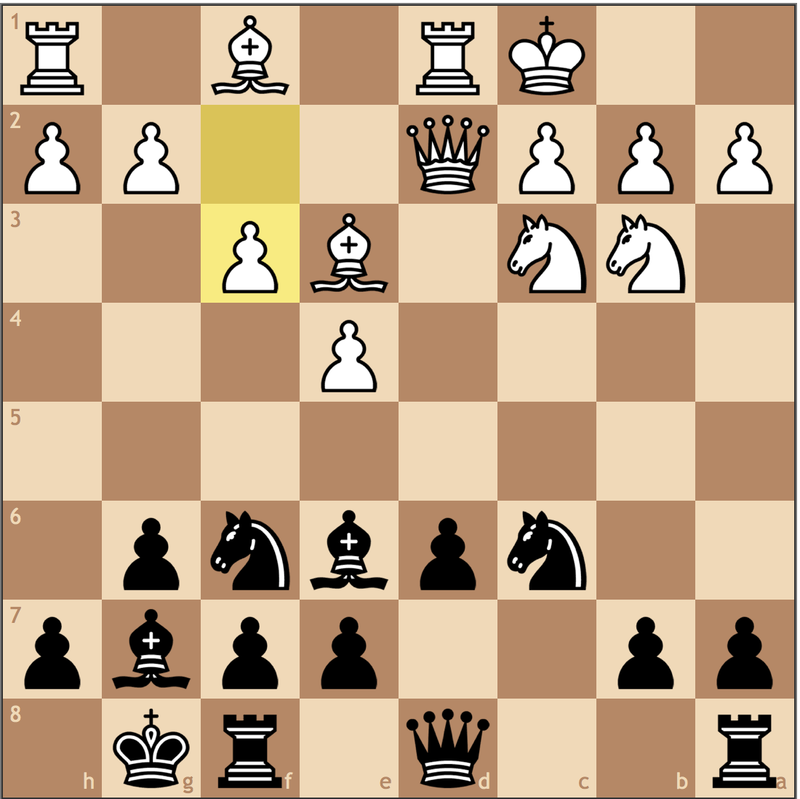 A simple move to play, but simply demonstrative of Black’s resources and potential in this position. With a fair amount of time on my clock, I calculated a forced win for Black from this position. Can you do the same? 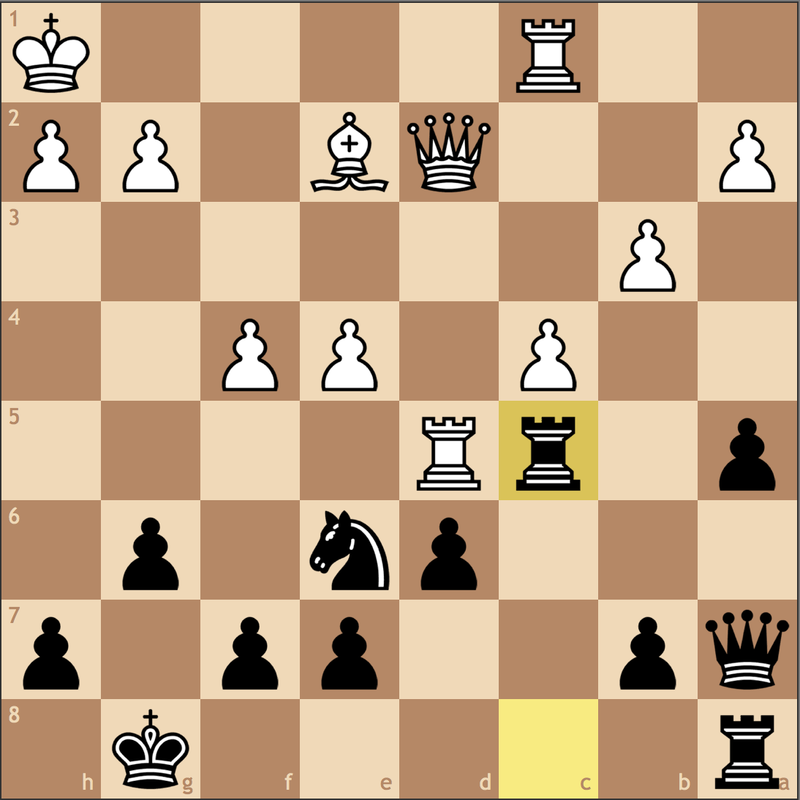 Black has tied down all of the White pieces. 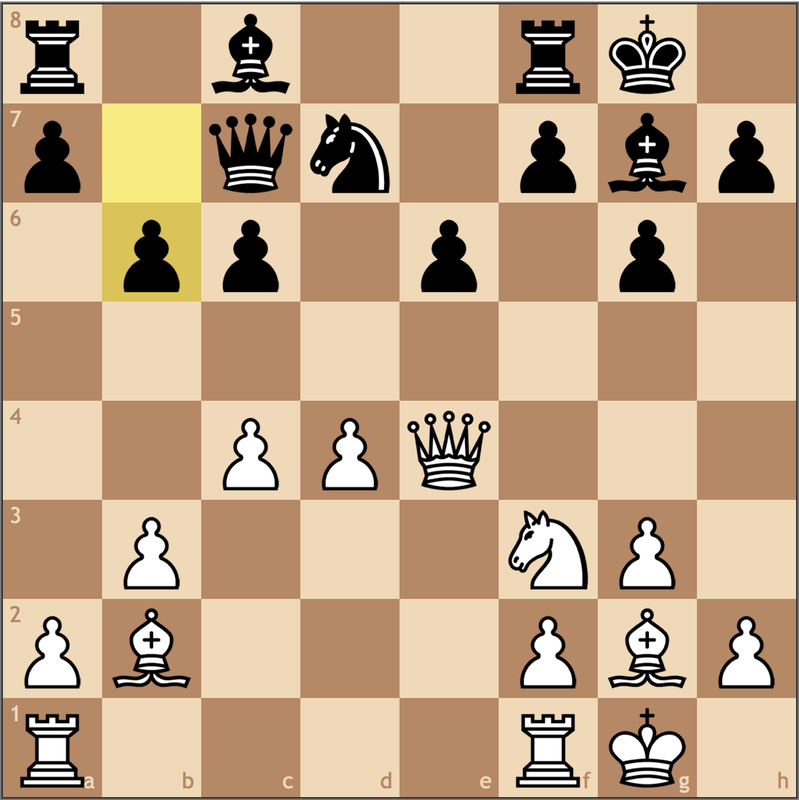 The king is stuck protecting g2, the rook is covering the backwards b3 pawn, and the e2 bishop is pinned. 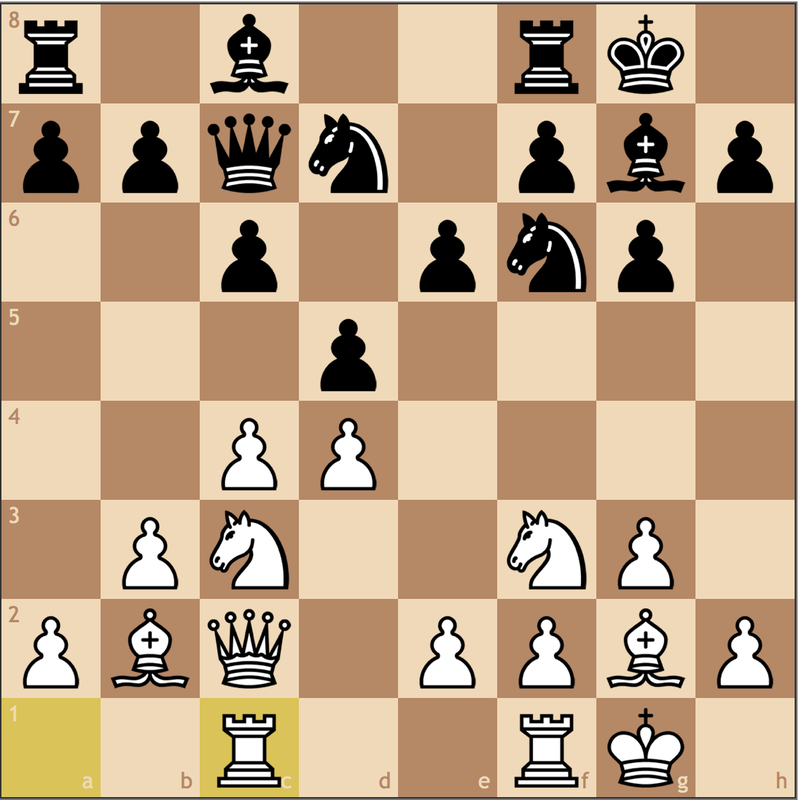 As White tries to untangle, he is powerless to stop …Ne6-d4, picking up a pawn at the very least. 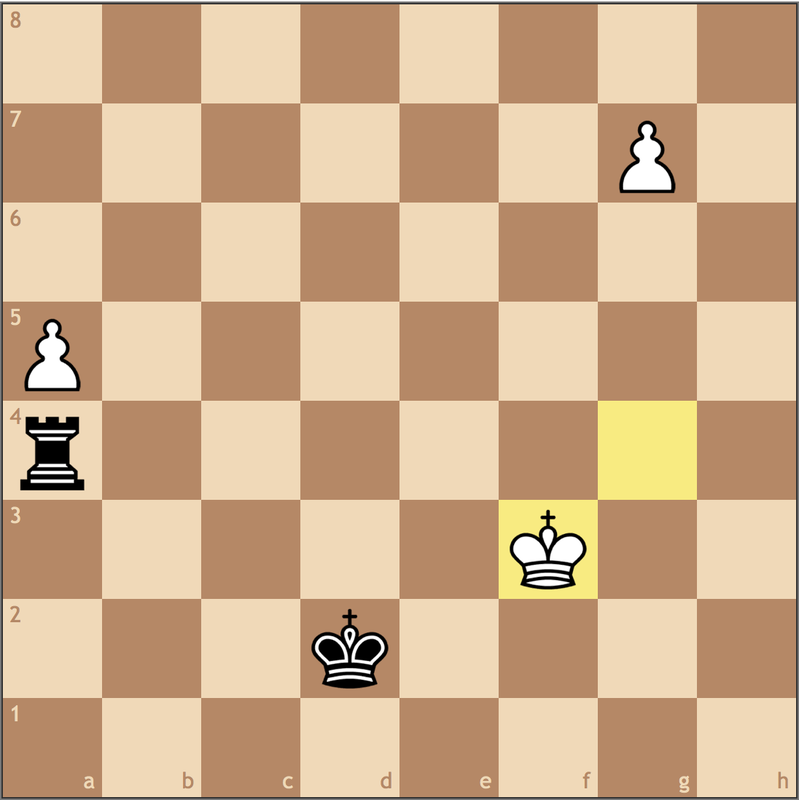 Now a pawn down with three isolated weaknesses, White is hopeless to defend the position. 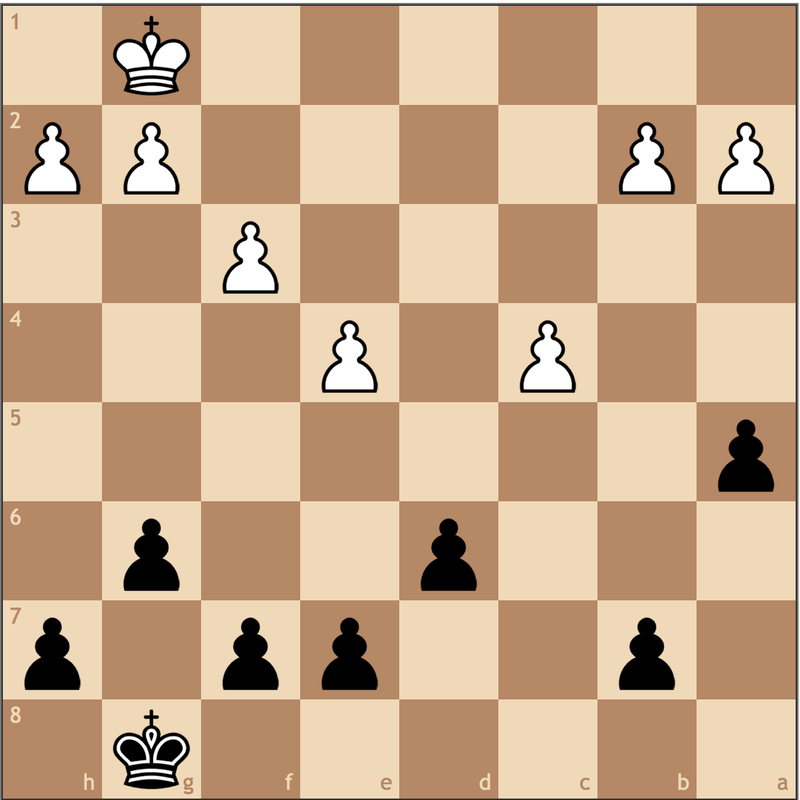 Once again, the theme of this game – weak dark squares! 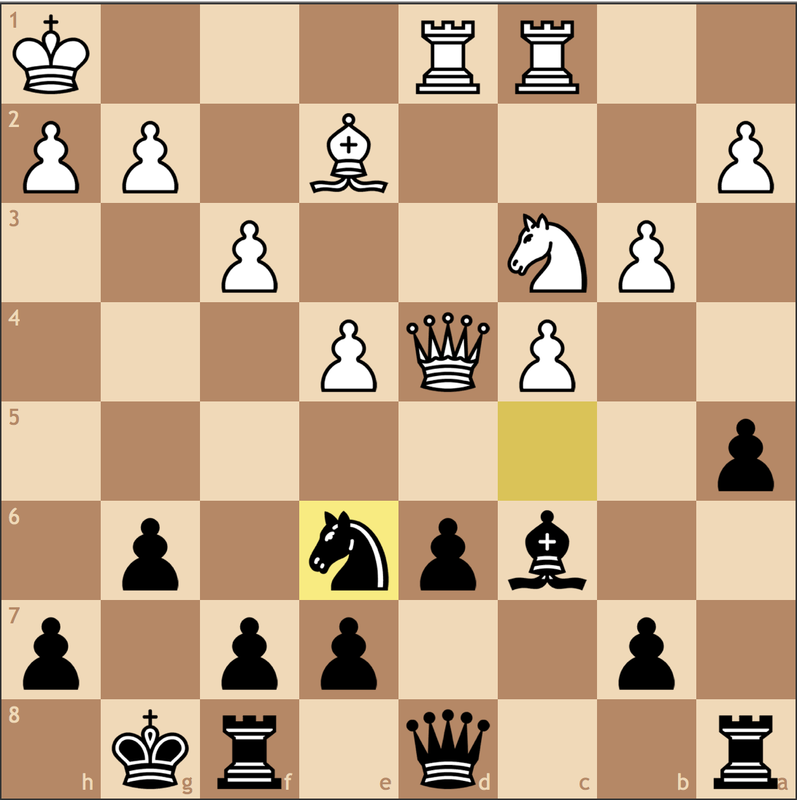 Black captured on a4 and got the point a few moves later. In that game, we saw that slow play doesn’t always favor White, even if Black doesn’t find the most accurate moves. 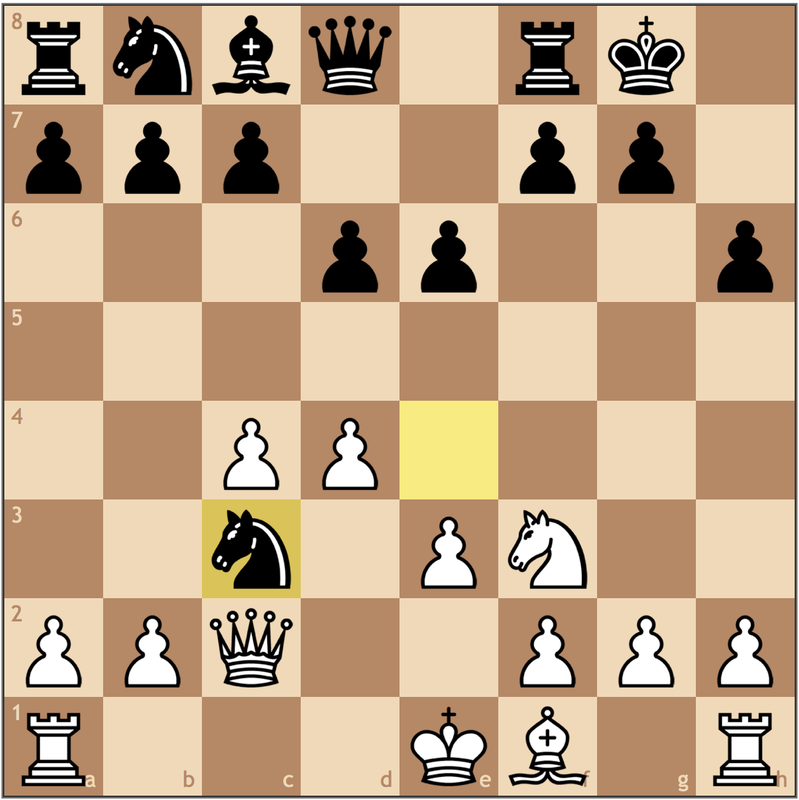 The following game I played a few weeks later, though this time my opponent tried to be more aggressive. d6 8.Be2 O-O 9.O-O Bd7?! Remember the refutation? 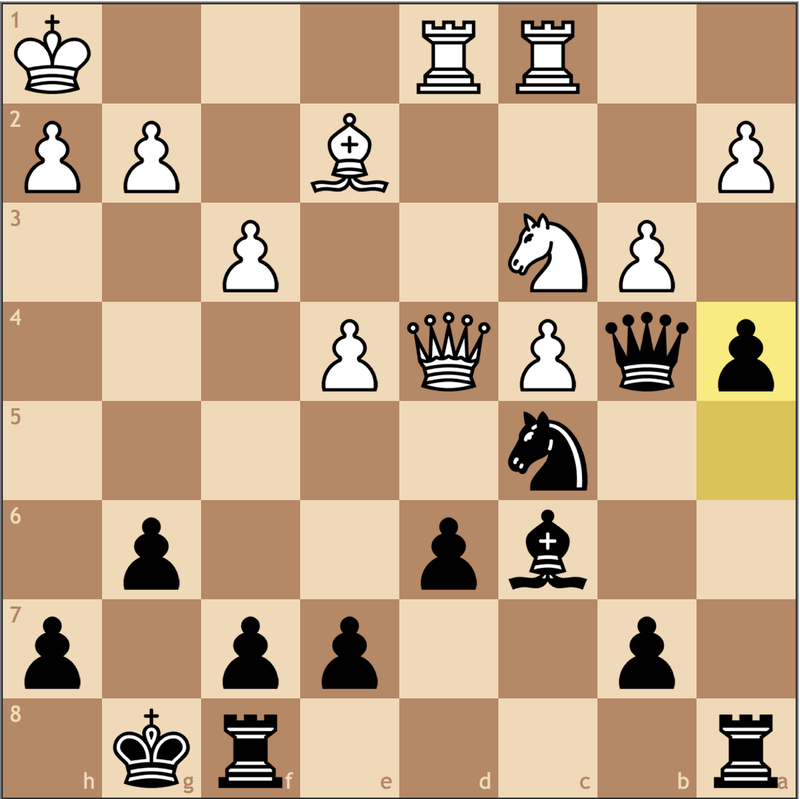 Black should have played 9… a5 because of what resource? Scroll back up to the first game if you need a refresh. The first break from our earlier game. 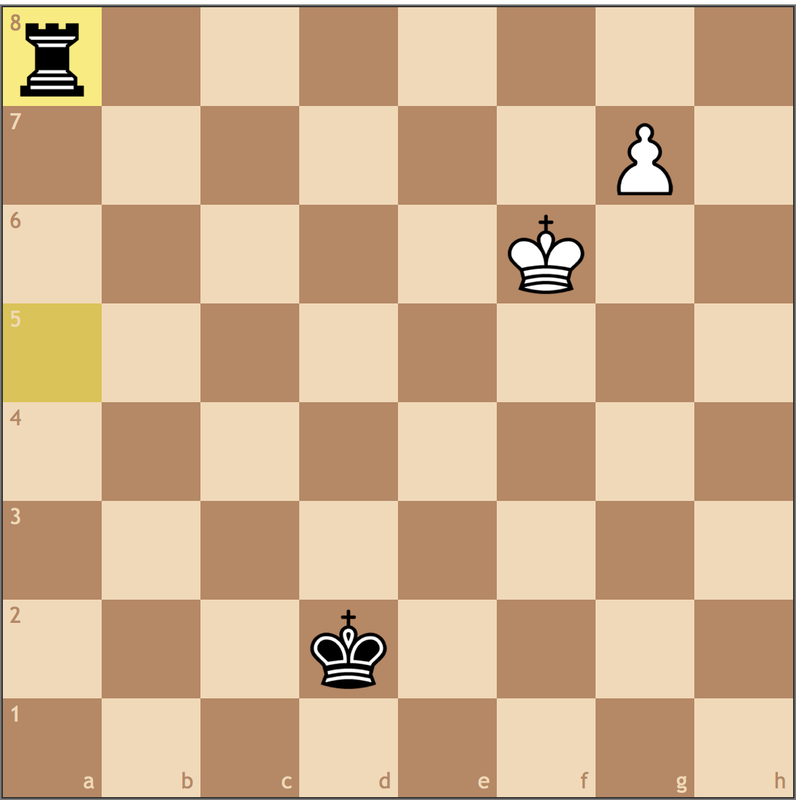 White executes this thematic idea before resolving the tension between the bishops. 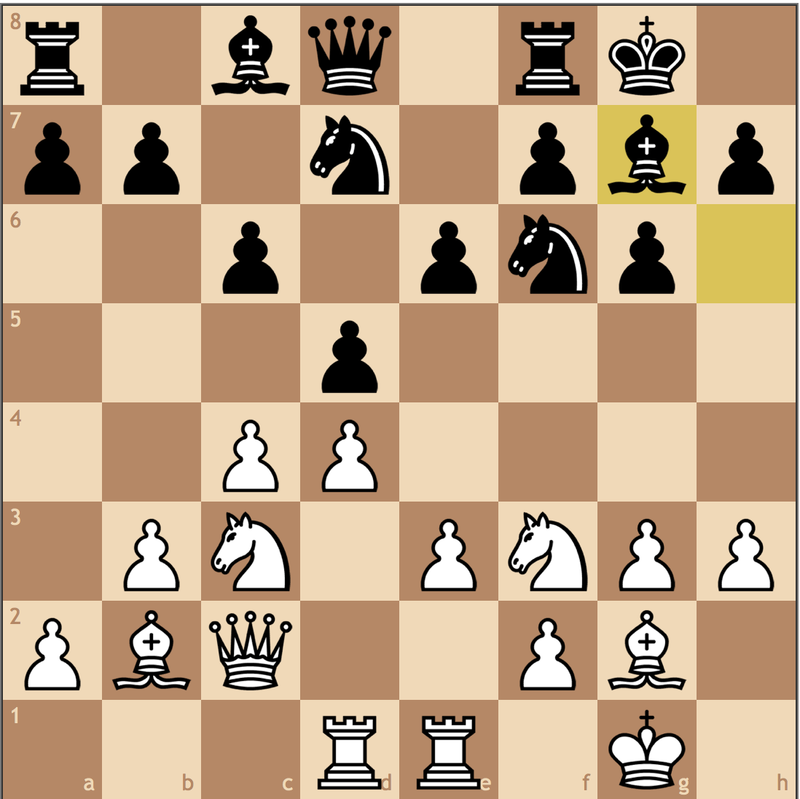 In this position I chose to wait with the standard …Nd7-c5 manuever. 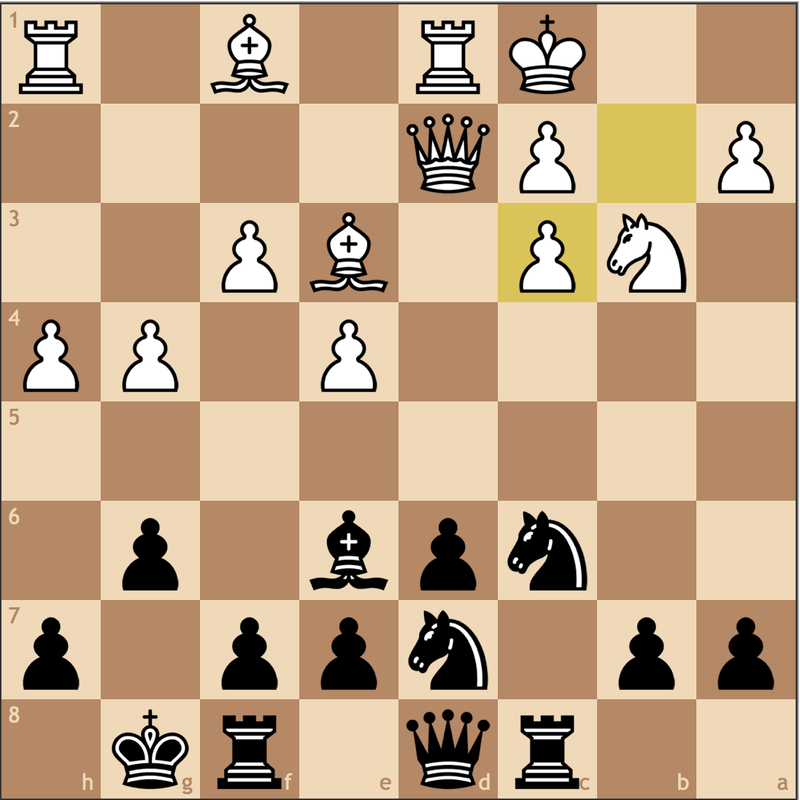 White tries to put together a central attack here, but Black has a nice defensive resource. 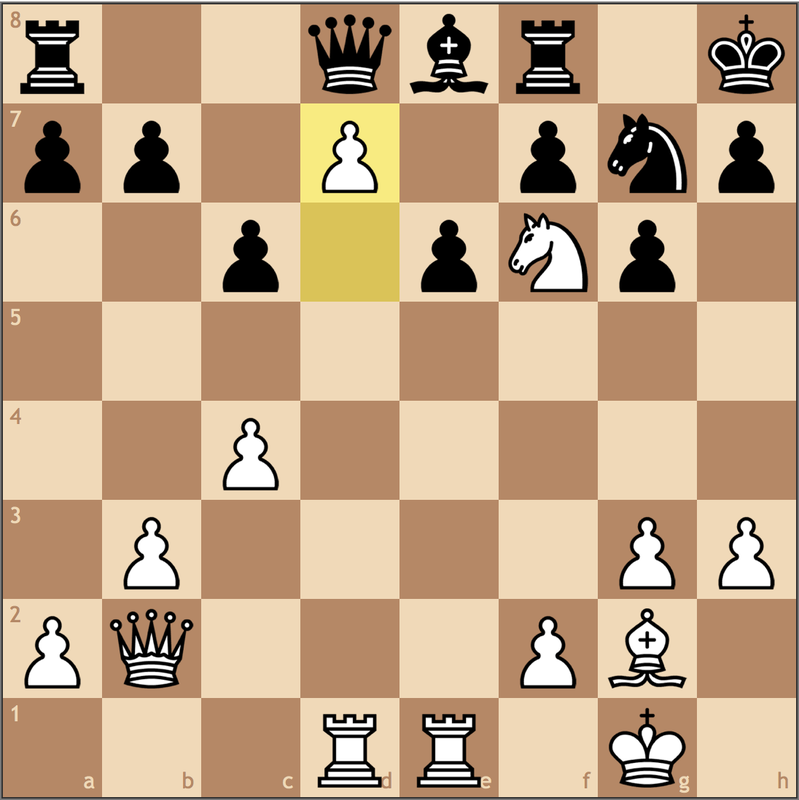 How to punish White? 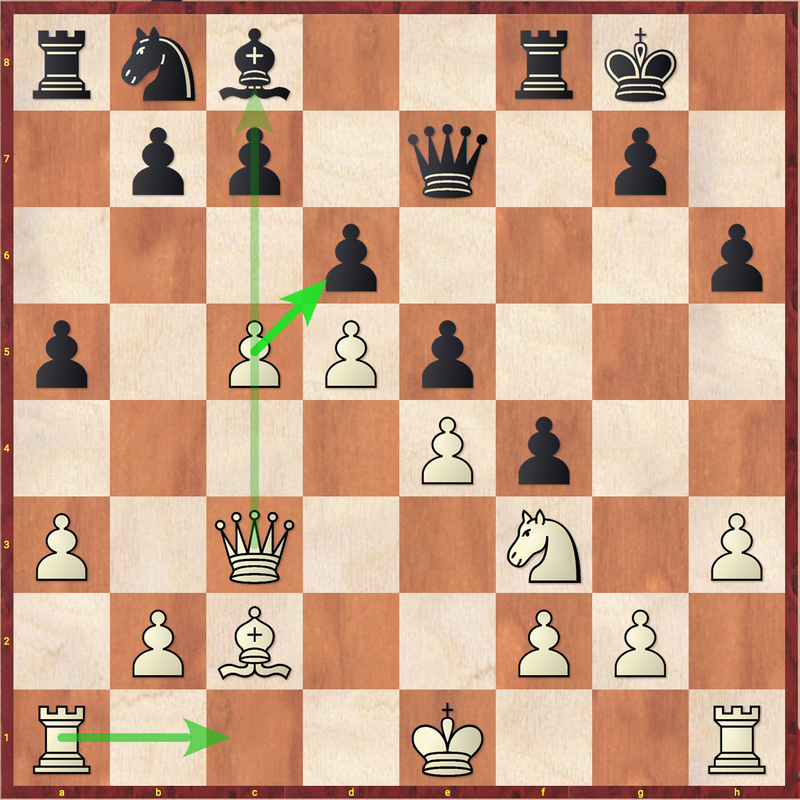 This move is not only forcing, but already wins over the d4 outpost. 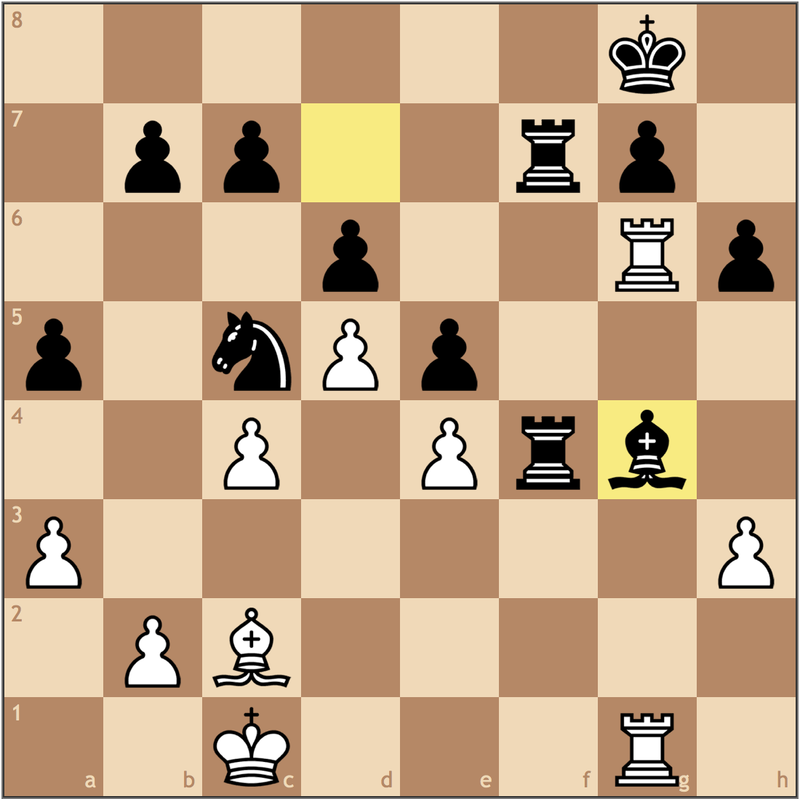 Without a dark-square bishop, White must make positional concessions if he wishes to stop …Nc5-e6-d4. 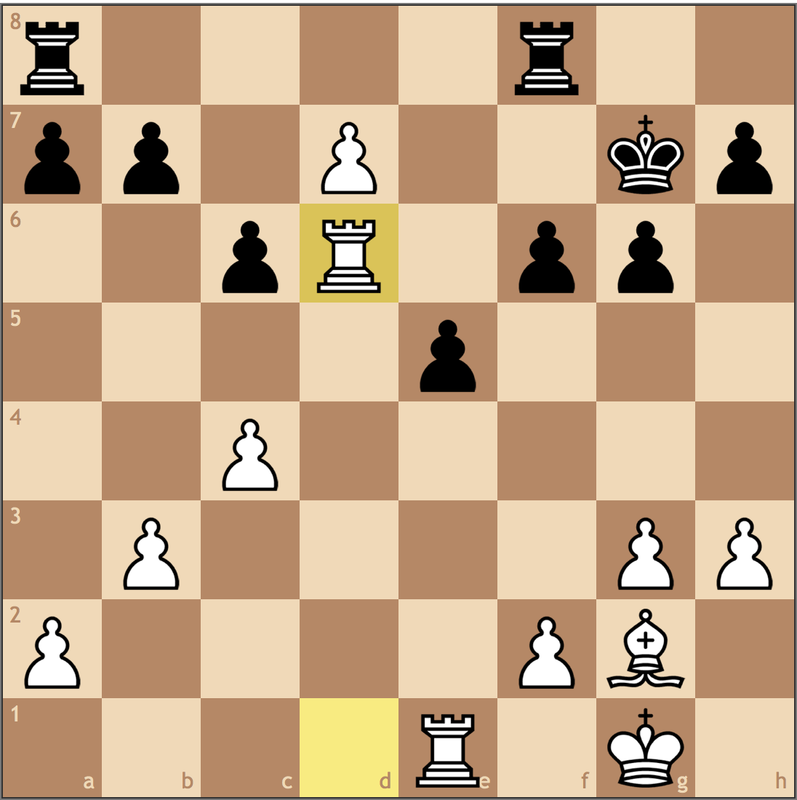 Realizing that he was already statically worse, my opponent panicked with this dynamic push, but tactically it fails. 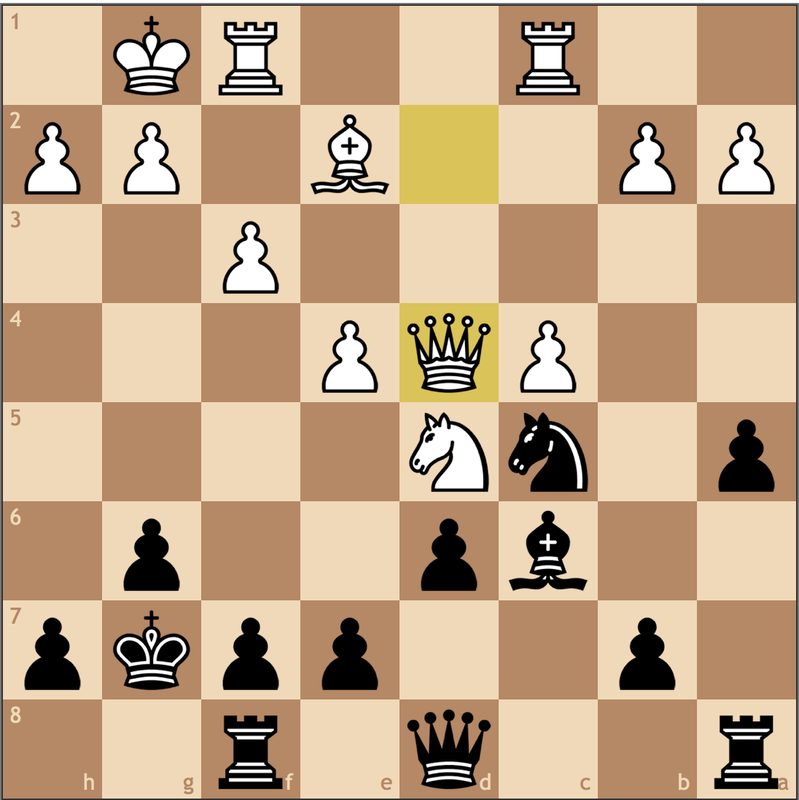 Black already has a winning game. 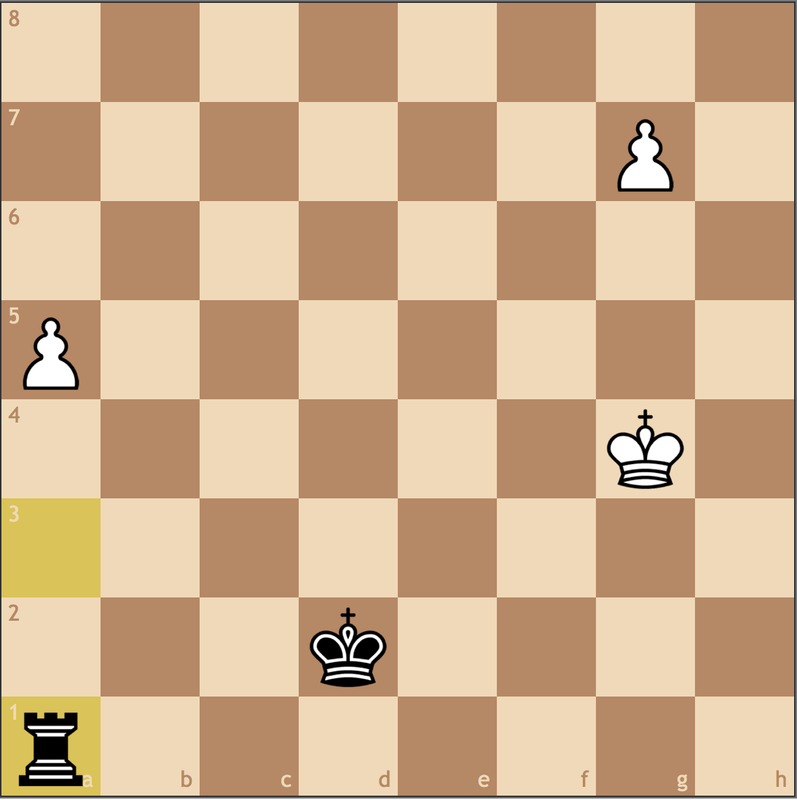 For the sake of completion, I’ve included the attack that proved enough to convert. 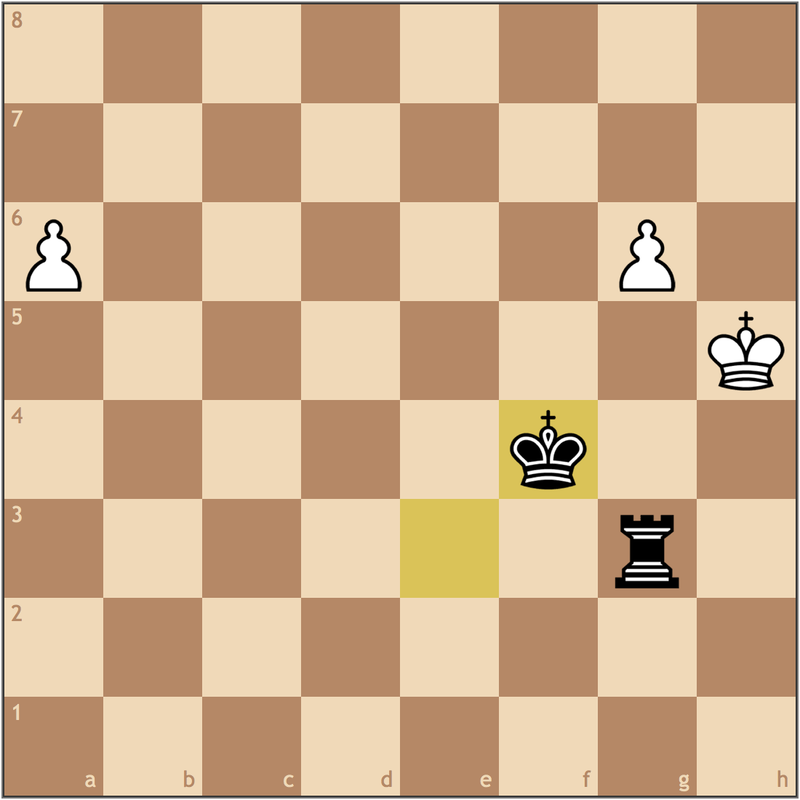 Thanks to the threat of …Nh3+ and …Qxg2# White must give up the exchange, and in turn, any chance of saving the game. 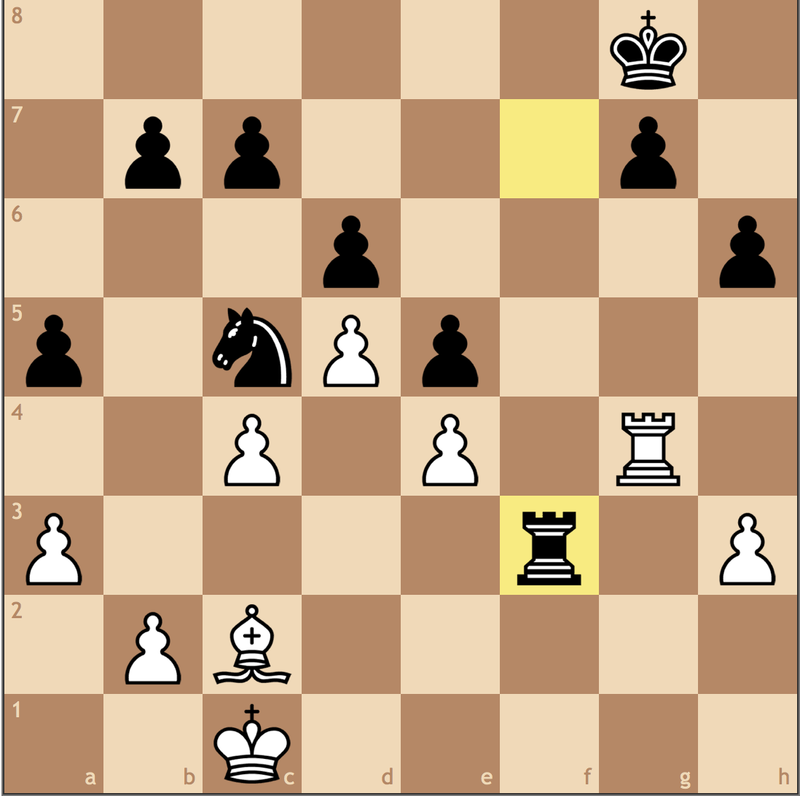 The resulting position proved rather easy to convert, and I won rather quickly. 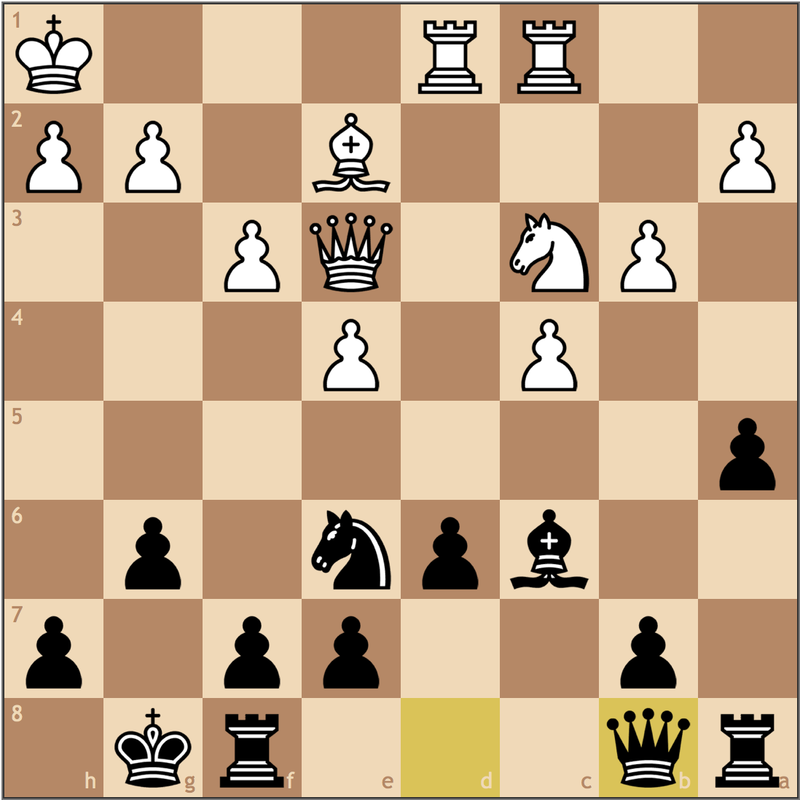 In today’s post, we discussed Black’s dark squared strategy if White opts for the inferior Bxg7 lines. With solid manuevering, Black should be able to at least get an equal position, and quickly it’s White that’s left asking questions about how to find play. Sorry for the late post, with exams these next two weeks, it’ll likely be sporadic until the end of the semester. 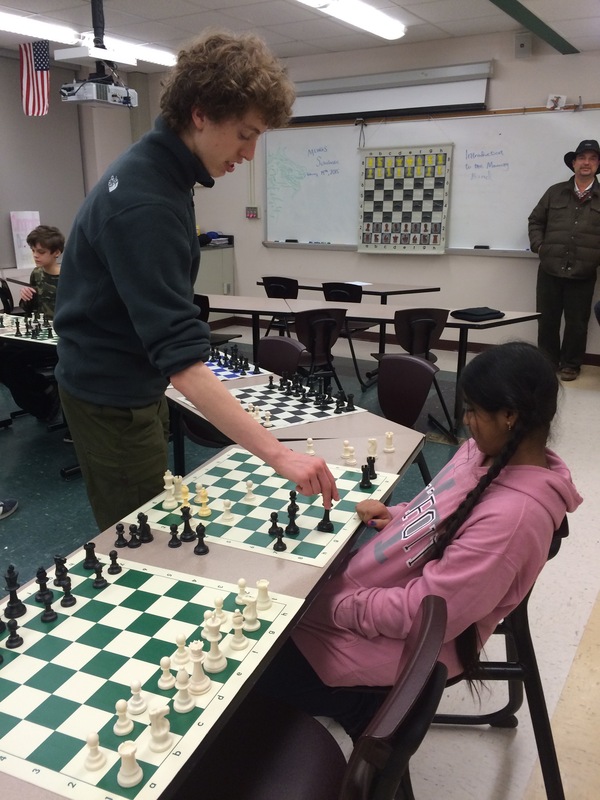 Anyways, here’s another episode of Chess Chat! 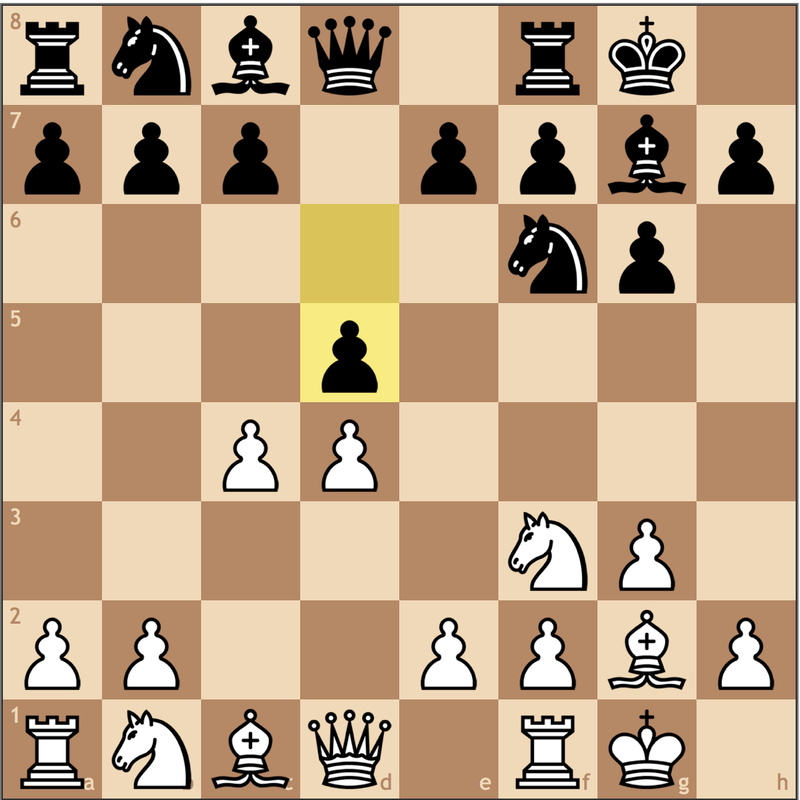 In today’s games, I was able to demonstrate how to use space to convert a small advantage into a winning one. Check it out! Well, it’s finally here! 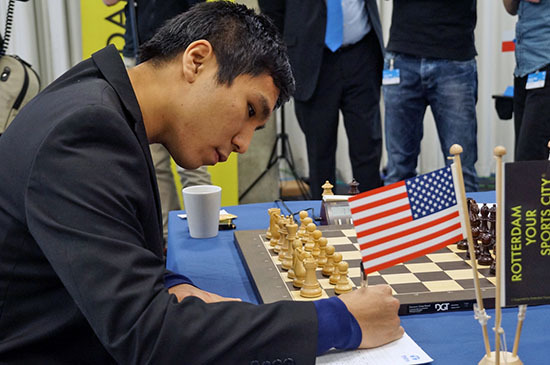 The US Chess Championships start under way this week, and with Fabiano Caruana, Hikaru Nakamura, and Wesley So competing among the best players in the country, I’m looking forward to this tournament more than Norway Chess. 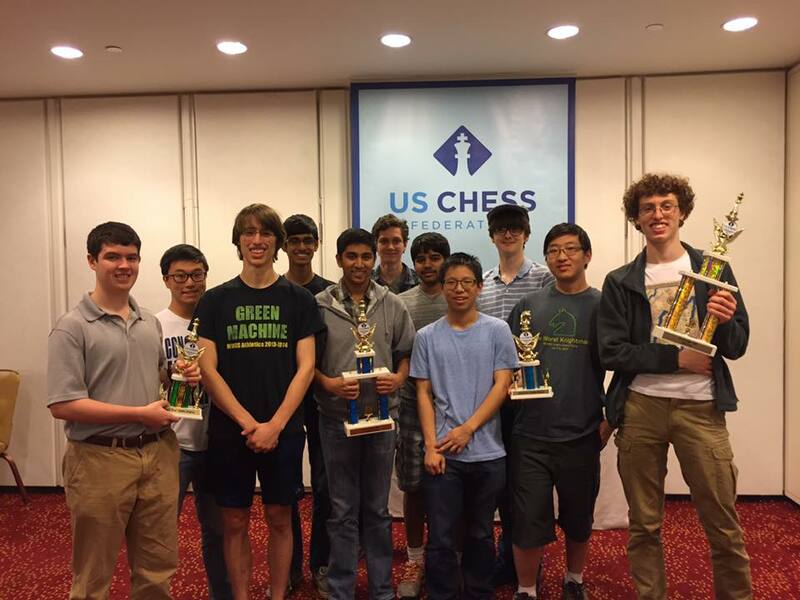 Fabiano Caruana, Hikaru Nakamura, Wesley So, Sam Shankland, Ray Robson, Gata Kamsky, Varuzhan Akobian, Alexander Onischuk, Aleksander Lenderman, Jeffrey Xiong, Alexander Shabalov, and Akshat Chandra. So where to begin? 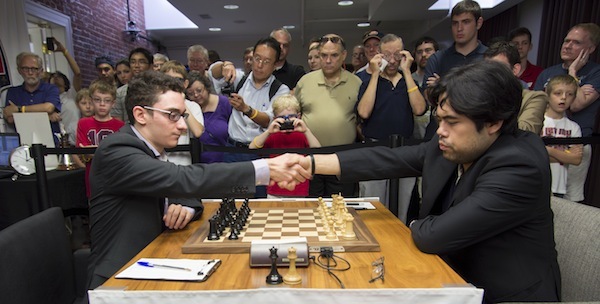 Let’s start with the former World Championship Candidates Fabiano Caruana and Hikaru Nakamura. 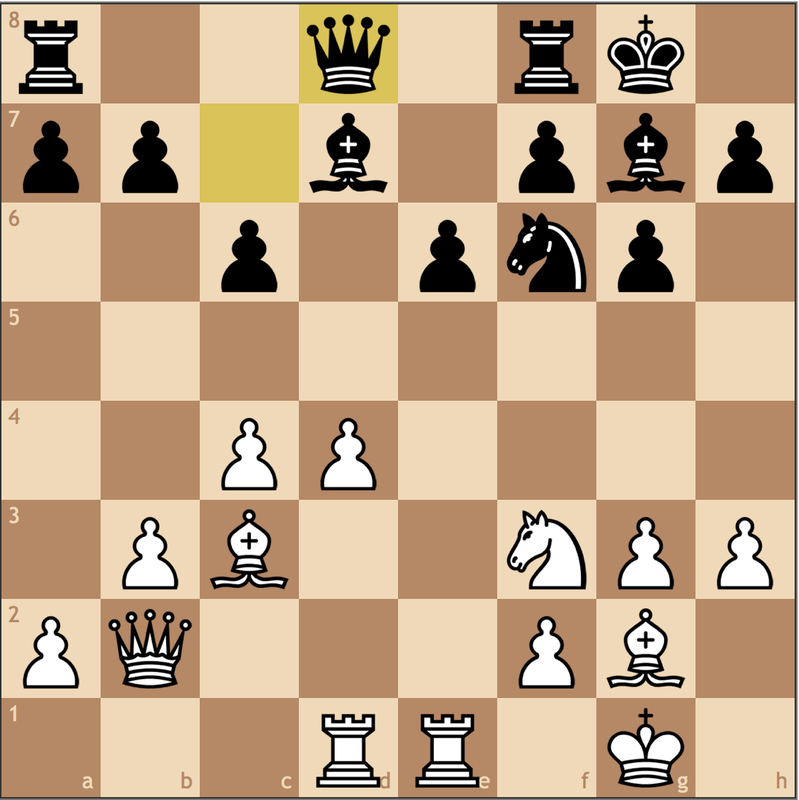 Caruana and Nakamura are the runaway favorites for the event, but don’t let that fool you! It will be interesting to see how the conclusion of the Candidates effects each player’s stamina. 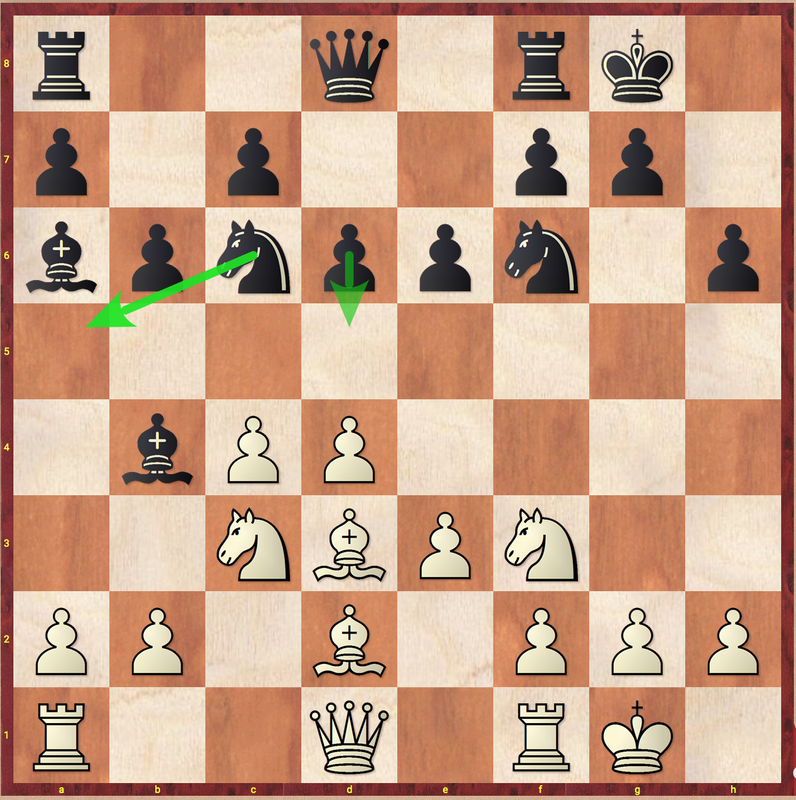 Nakamura, the defending US Champion, may feel like he has the most to prove given a mediocre finish at the Candidates Tournament last month. While his even score drew criticism, I think given his -2 start, his performance was more of a sign of strength than a weakness. 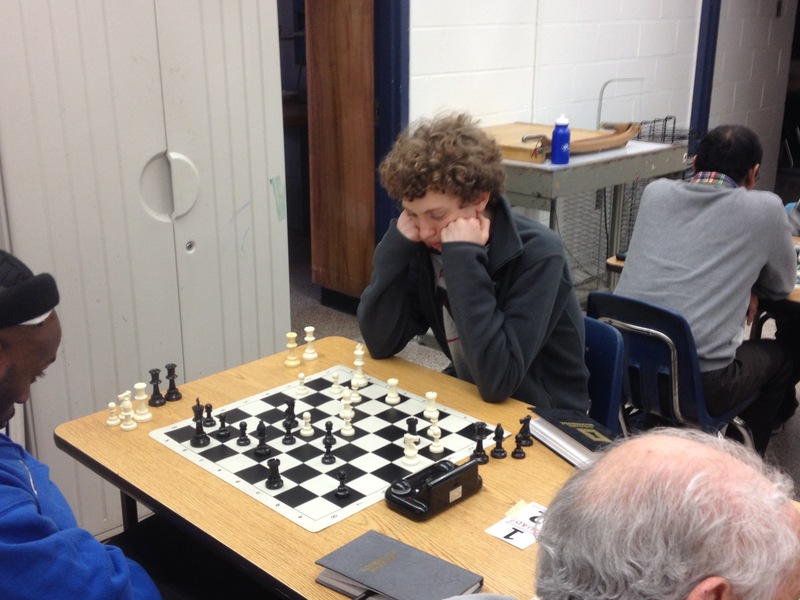 I’m a little more concerned about Caruana. 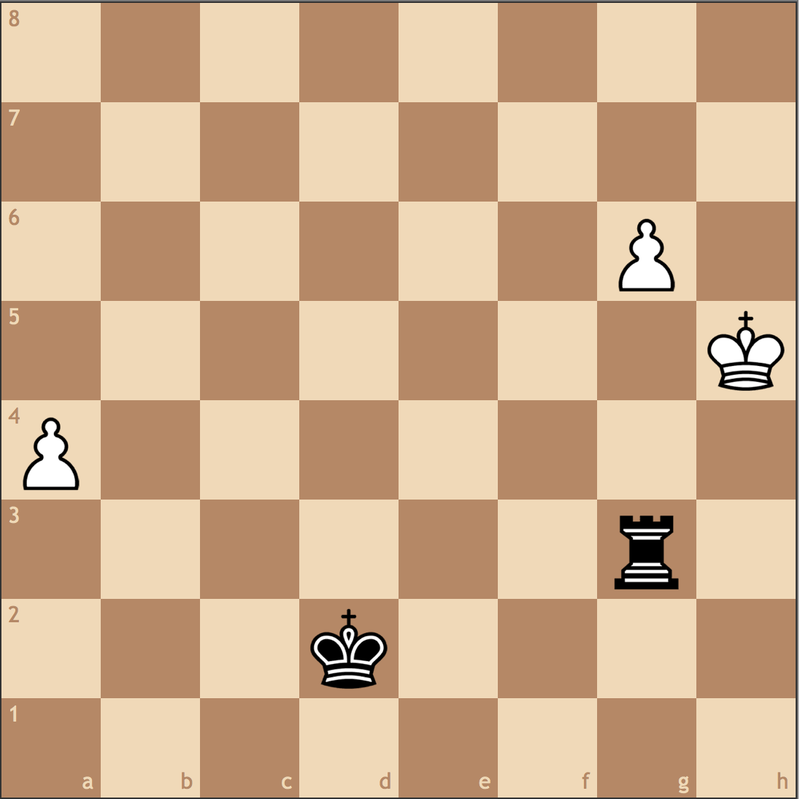 While he fell just short of getting the right to challenge Magnus Carlsen for the World Championship, he missed a lot of winning opportunities – in particular against Topalov – which ultimately cost him the event. 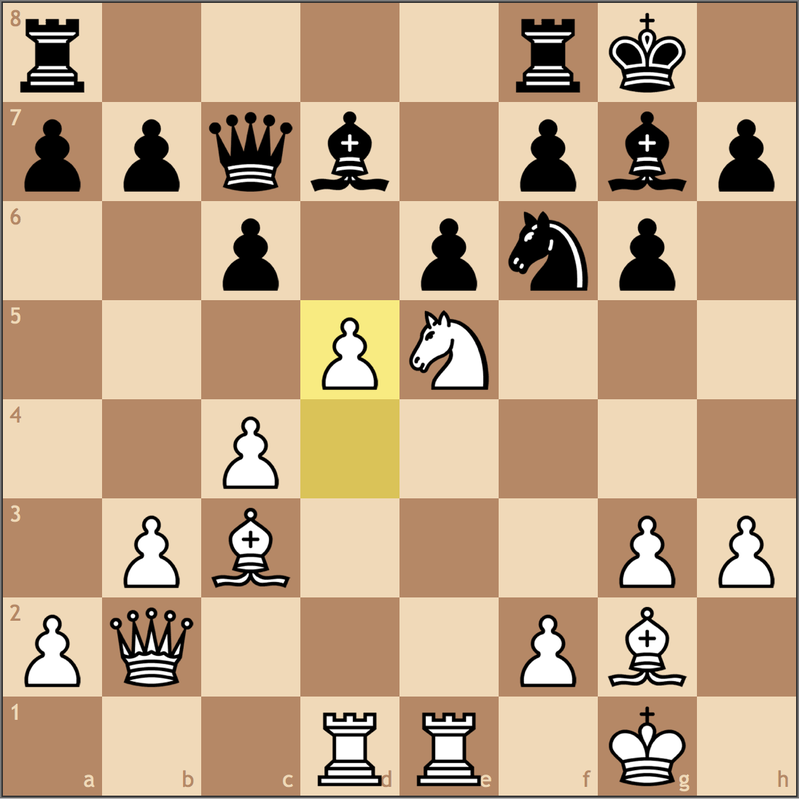 This is a field that won’t forgive Caruana, and without much time to prepare for his opponents I’m curious to see how he’ll finish. Remember last year’s Millionaire Open? 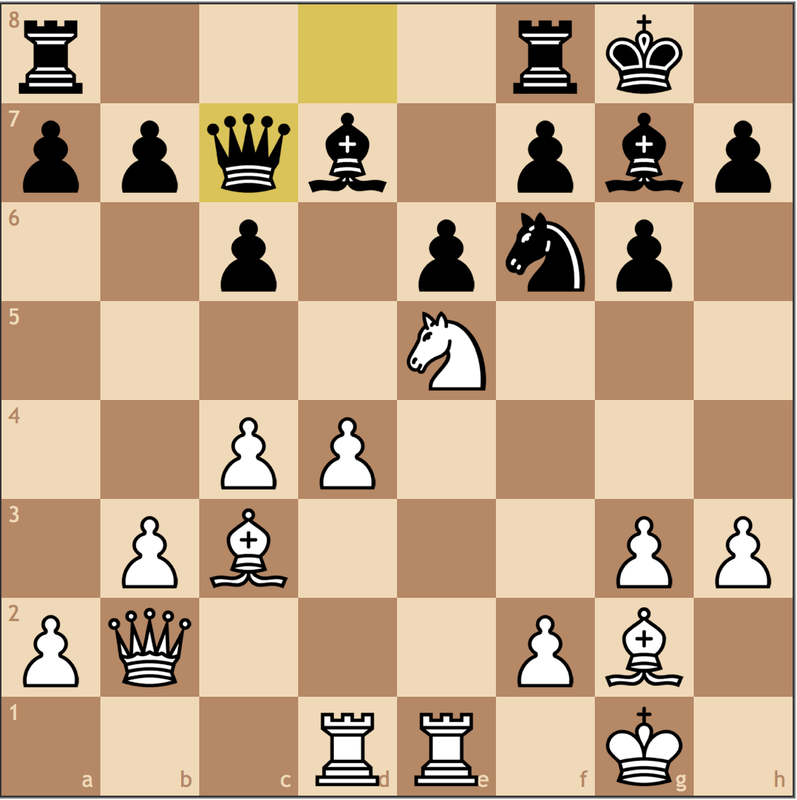 Caruana fans, you have your warning. Without an appearance at the Candidates Tournament, Wesley So might be the most prepared player for this event. Still a top ten caliber player, So will want to avenge his disappointing showing last year by walking away from St. Louis a US Champion. There’s still a considerable gap between him and the likes of Nakamura and Caruana, but I fully expect him to bounce back. If there’s one dark horse contender, it’s Ray Robson. 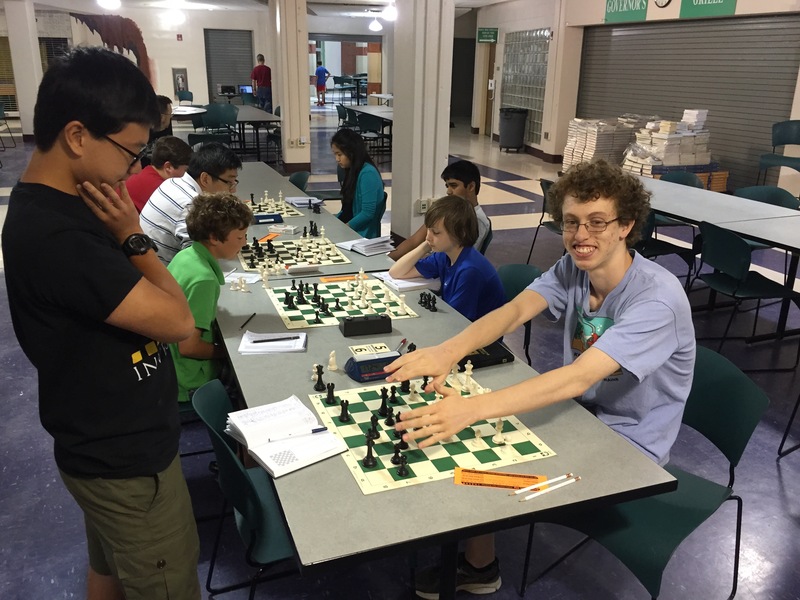 In last year’s event, the Webster student placed second, only a half point behind Nakamura. Recently coming off a Final Four win, Robson should surprise again if he can keep the momentum going.